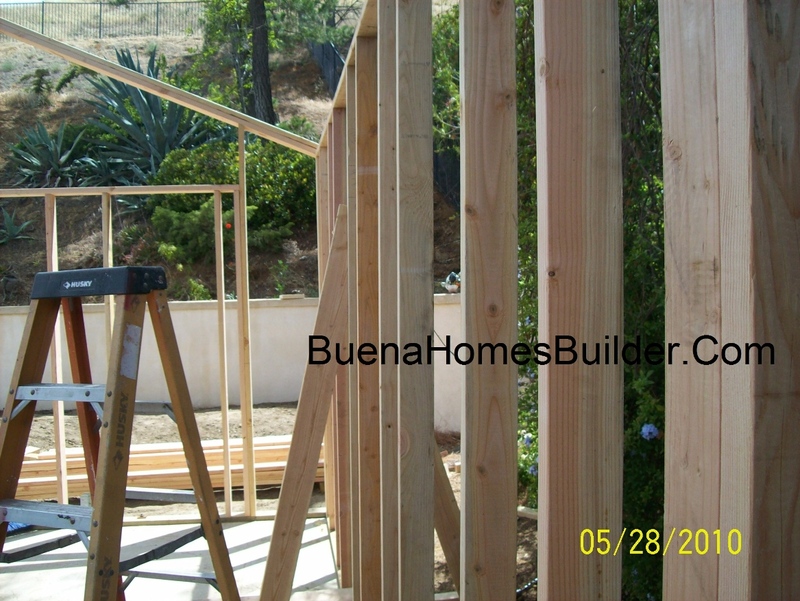 Thousand oaks house framing construction, this project includes a vaulted ceiling and exposed 4 X 6 Fake roof rafter with 2X6 T & G (Tongue and Groove) inside, this page shows the first phase of the roof framing construction; this job is beign done by Buena Homes General Contractor from Ventura County in the City of Thousand Oaks; Includes in this project is 978 Square Feet addition with new windows and new doors. 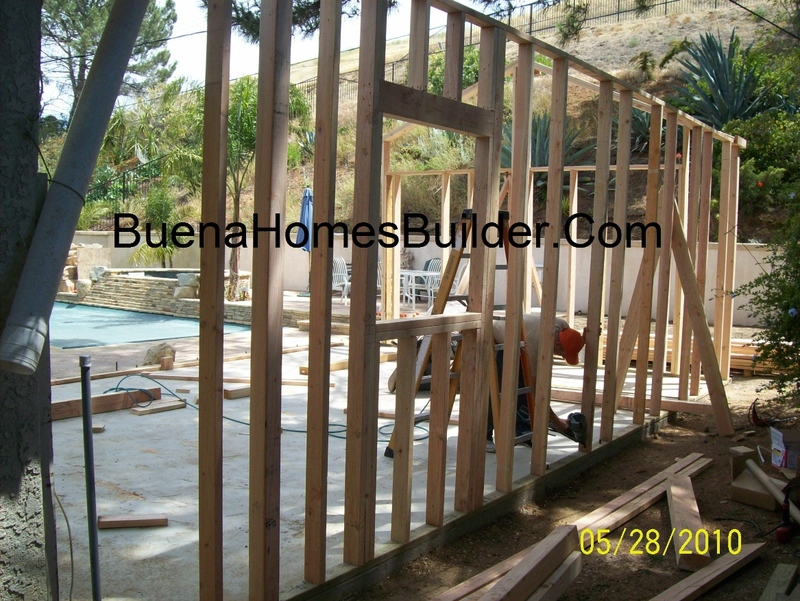 STUDS WALL FRAMING PICTURES below are intended to show the wall-framing members used in this application to support the roof rafters and ceiling system that will give to the shear walls the necessary strength for seismic movement requirement. 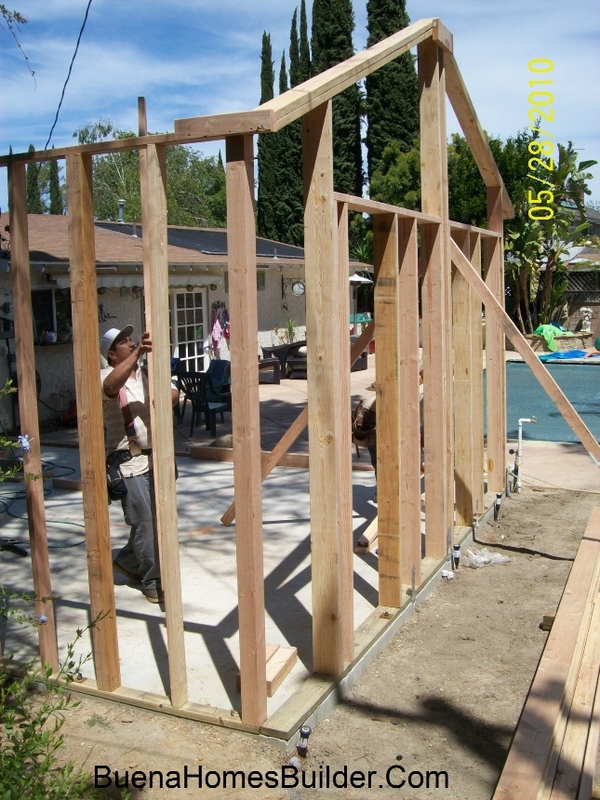 wall framing snap lines prep. 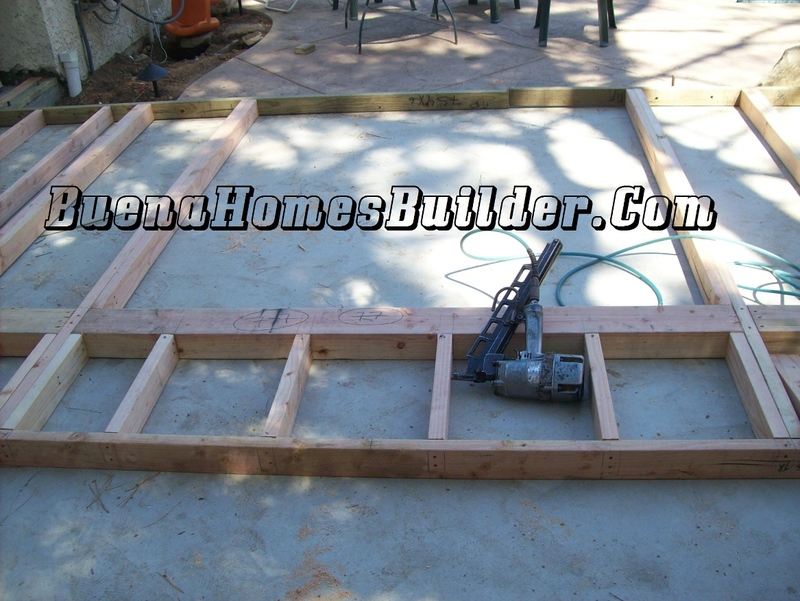 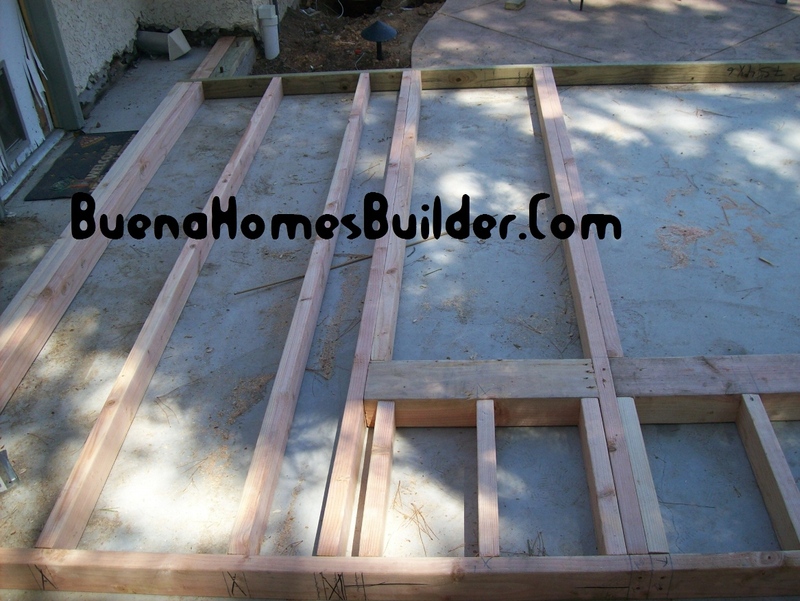 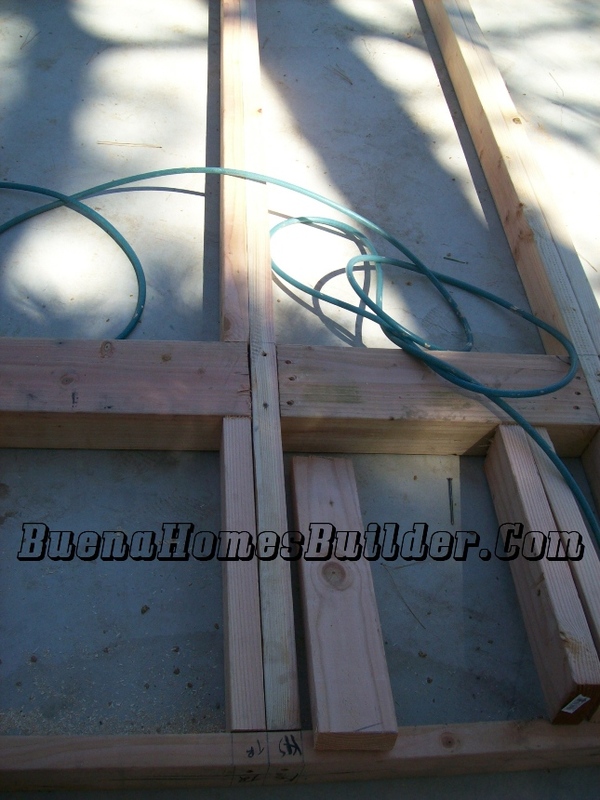 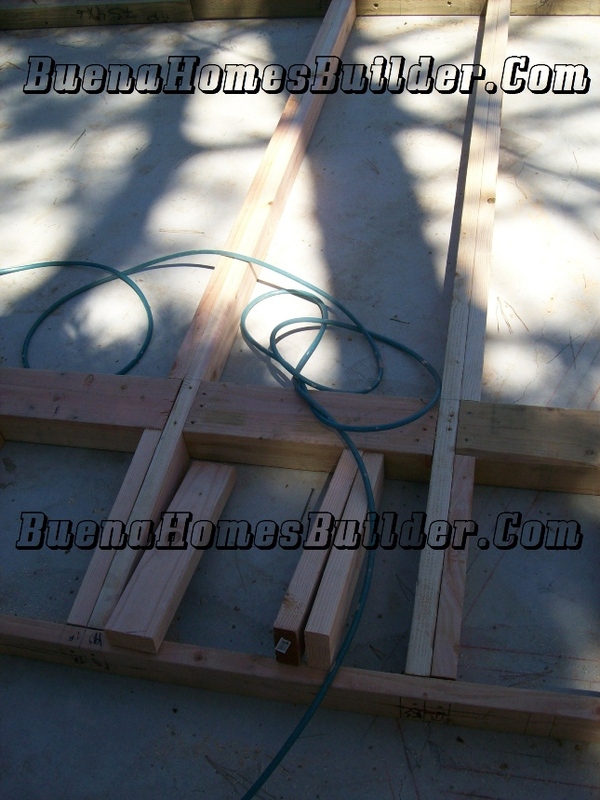 9 feet stud wall framing CA. 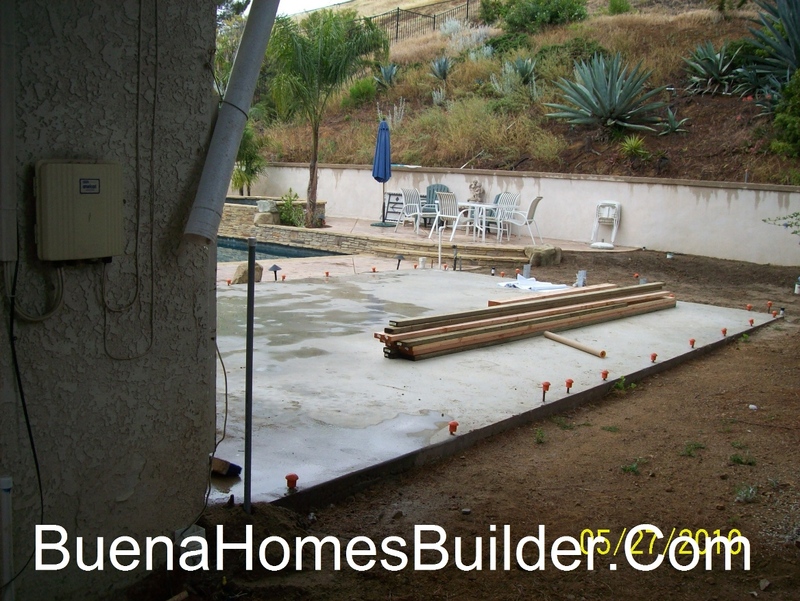 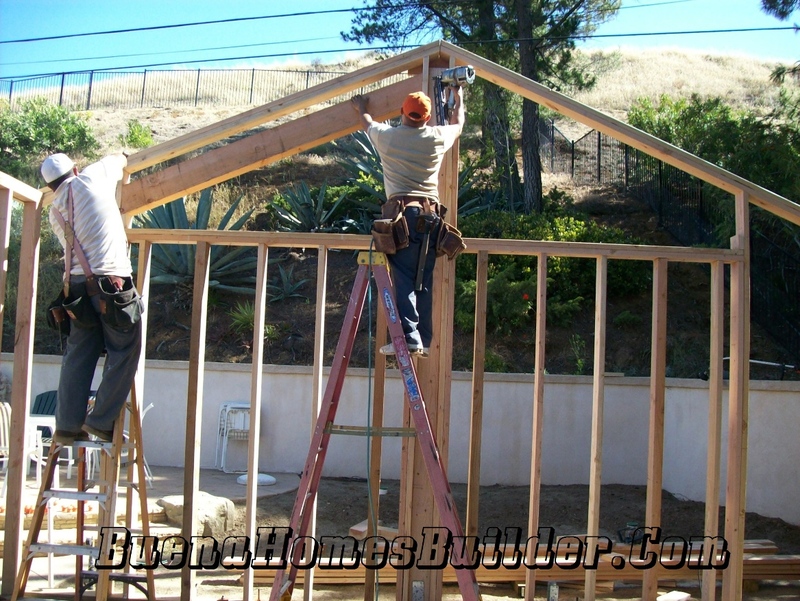 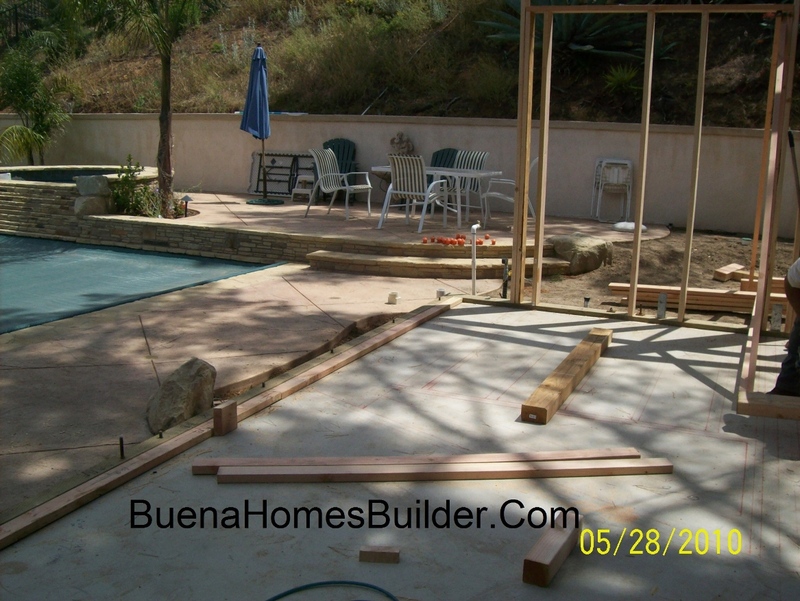 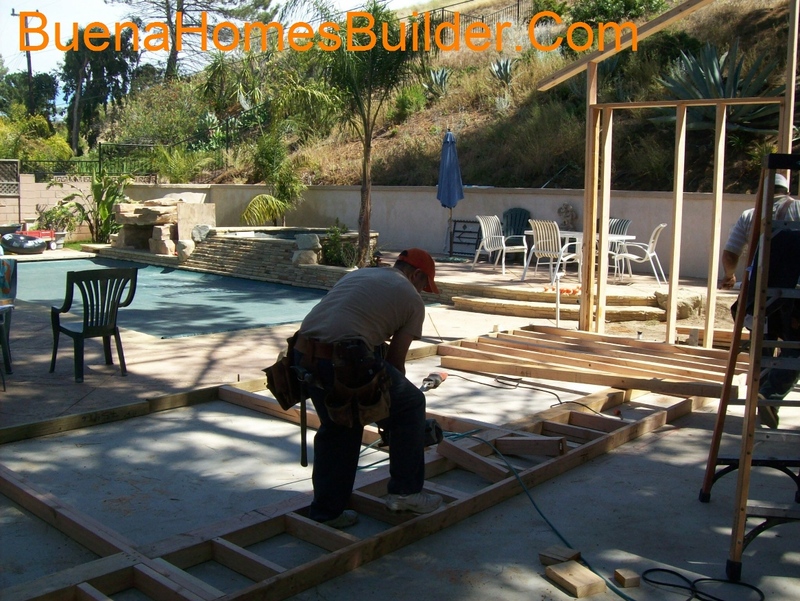 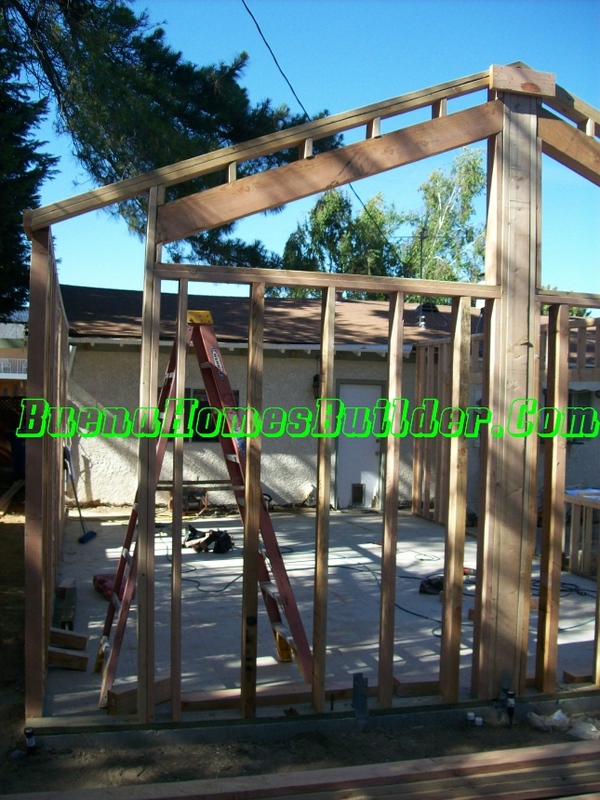 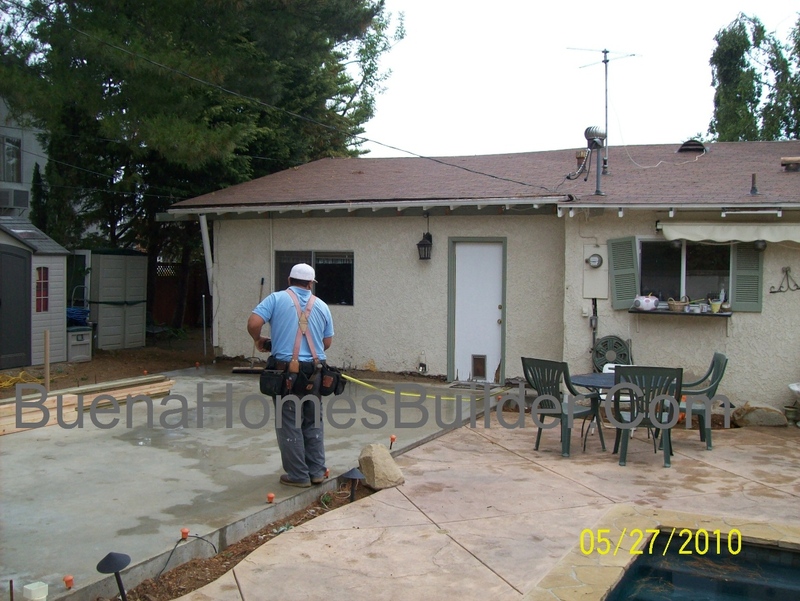 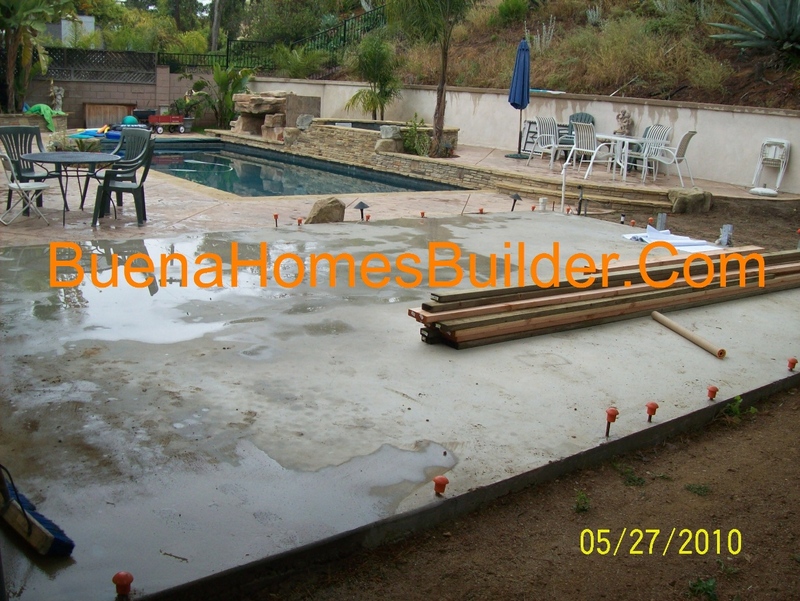 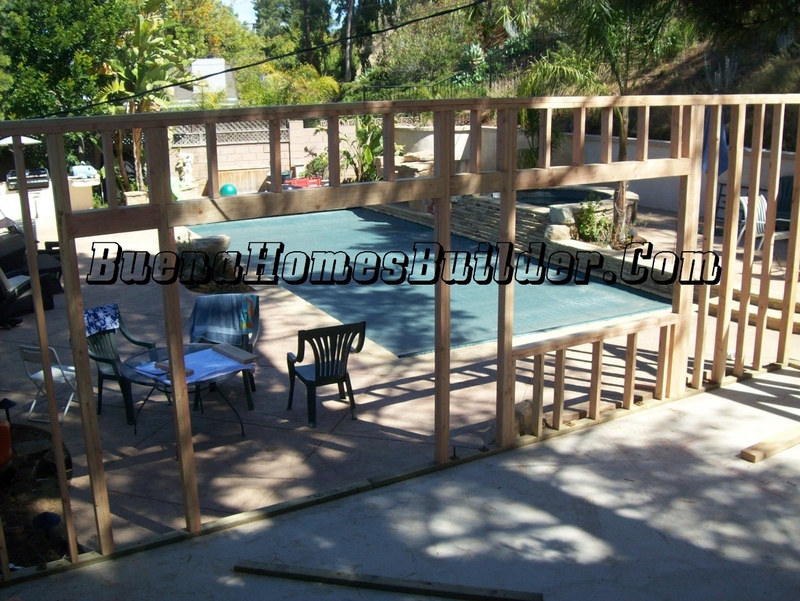 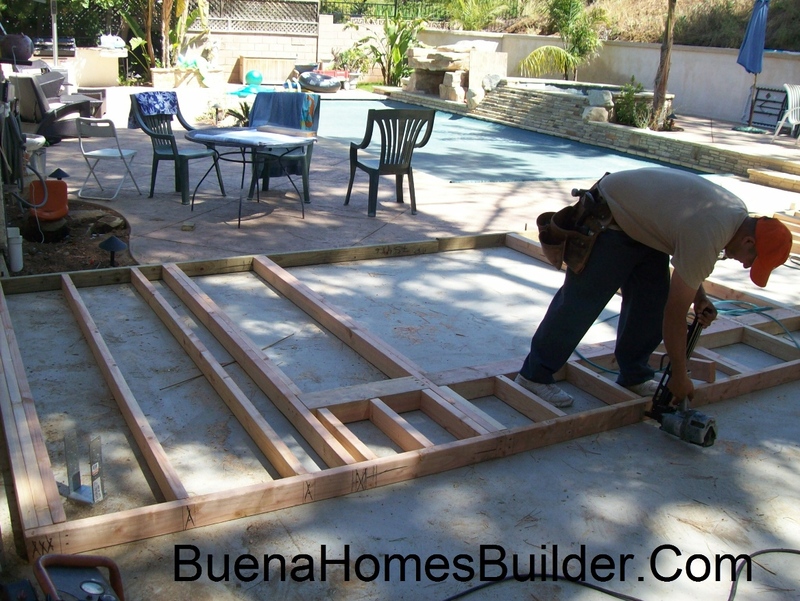 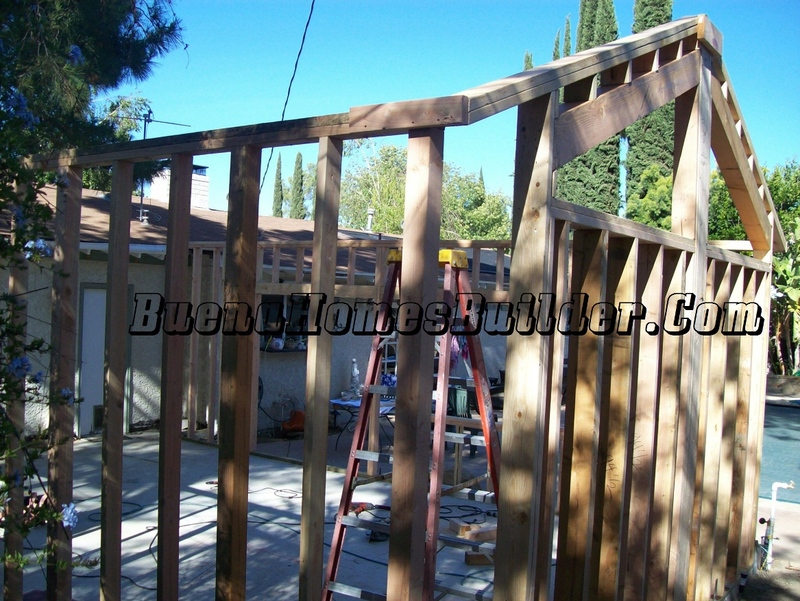 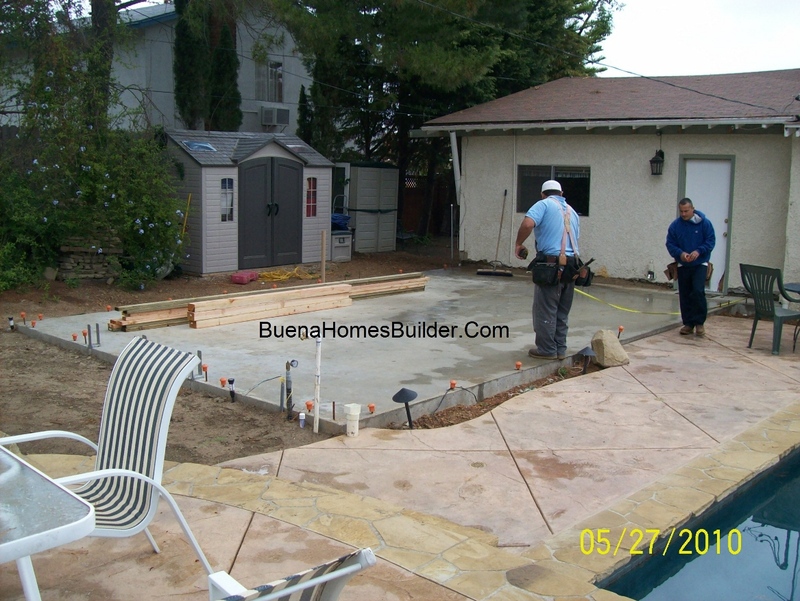 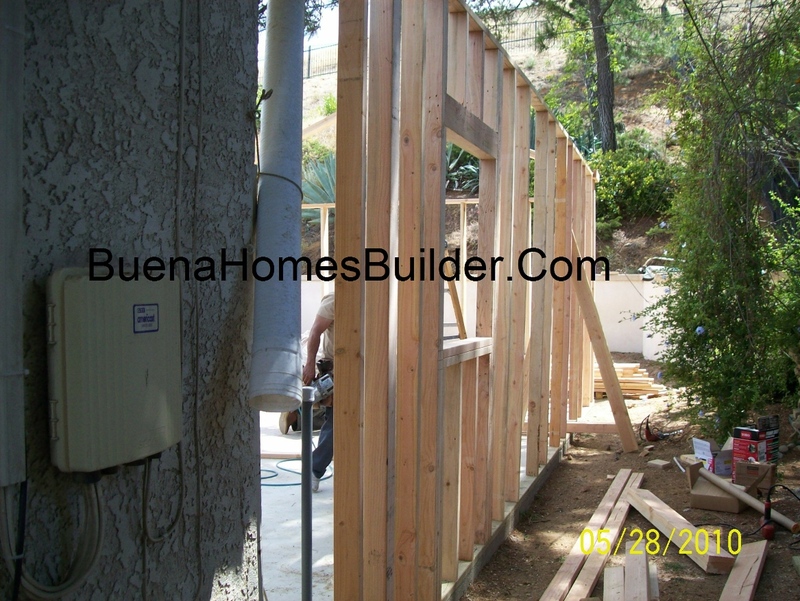 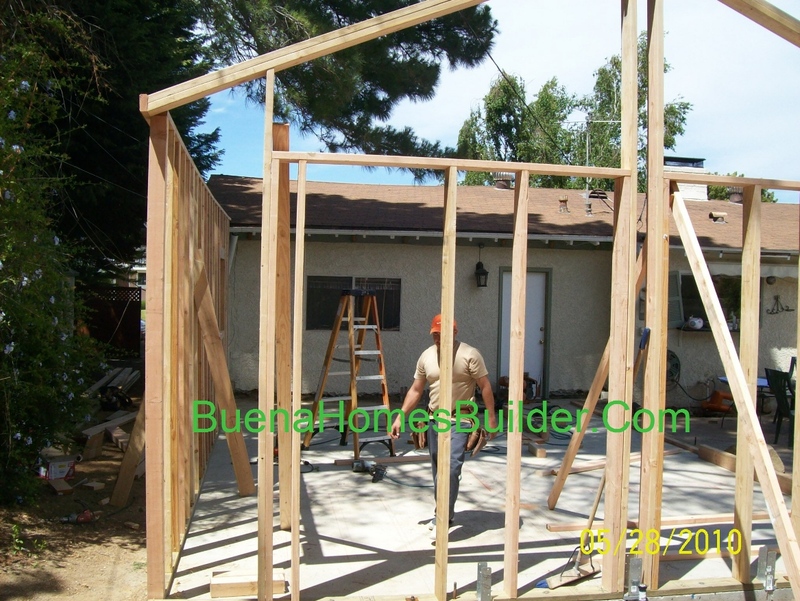 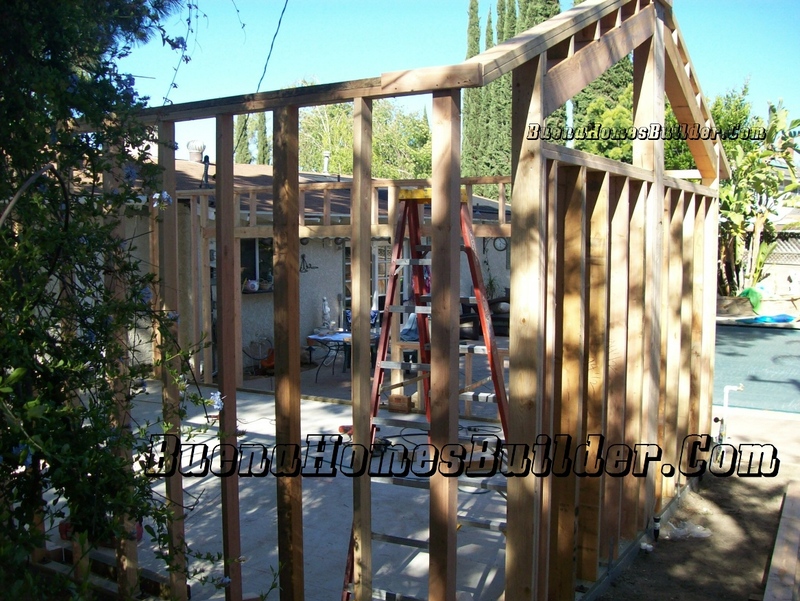 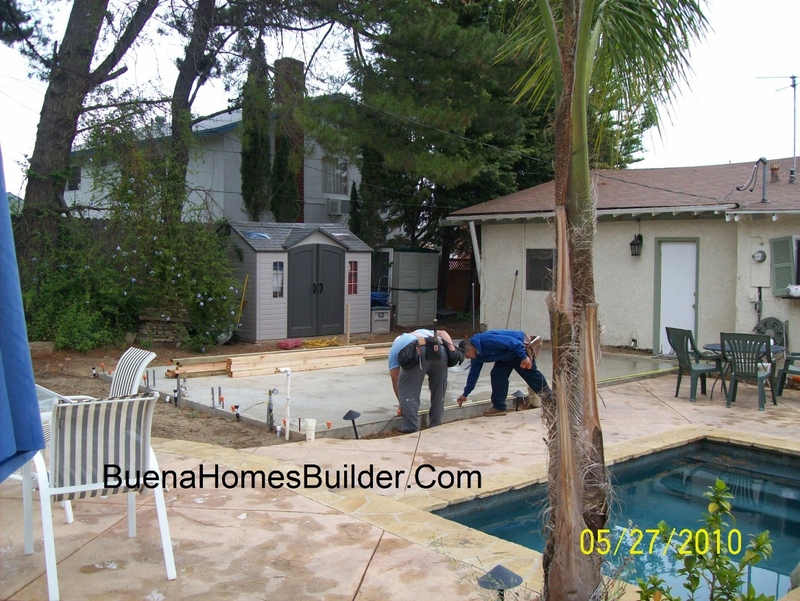 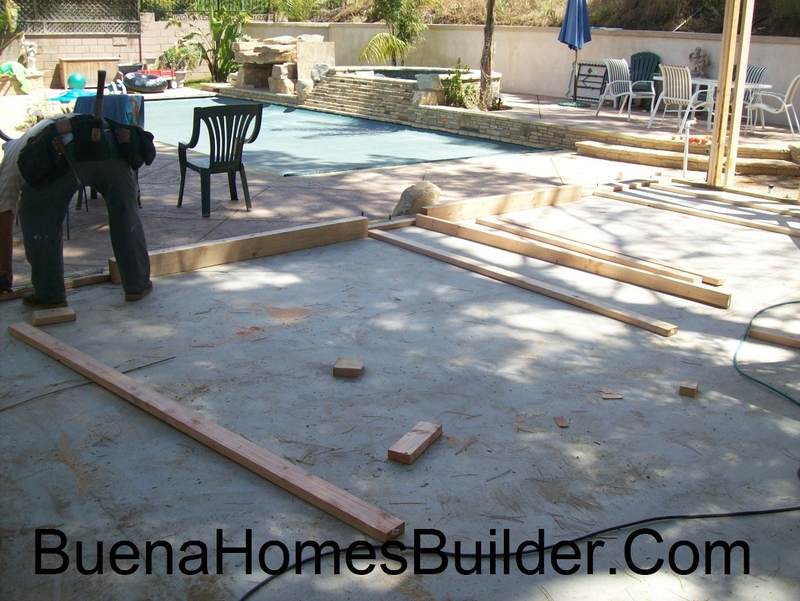 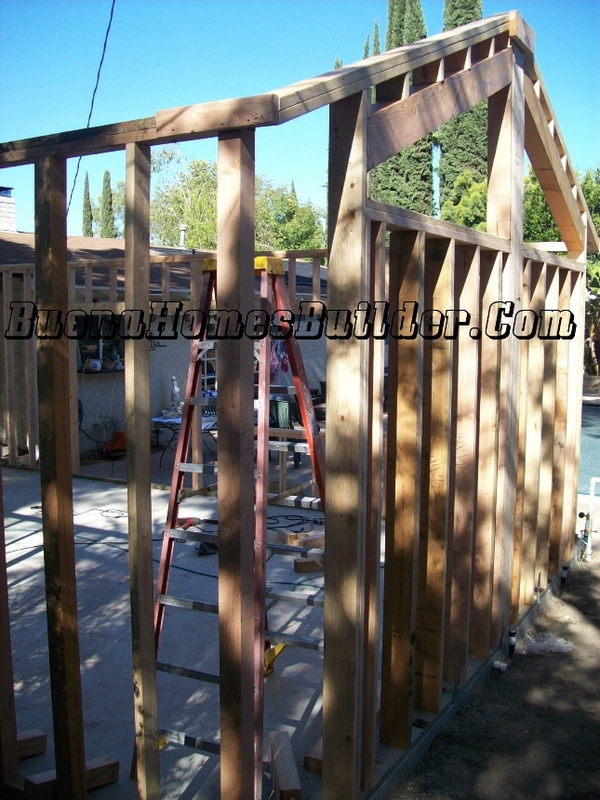 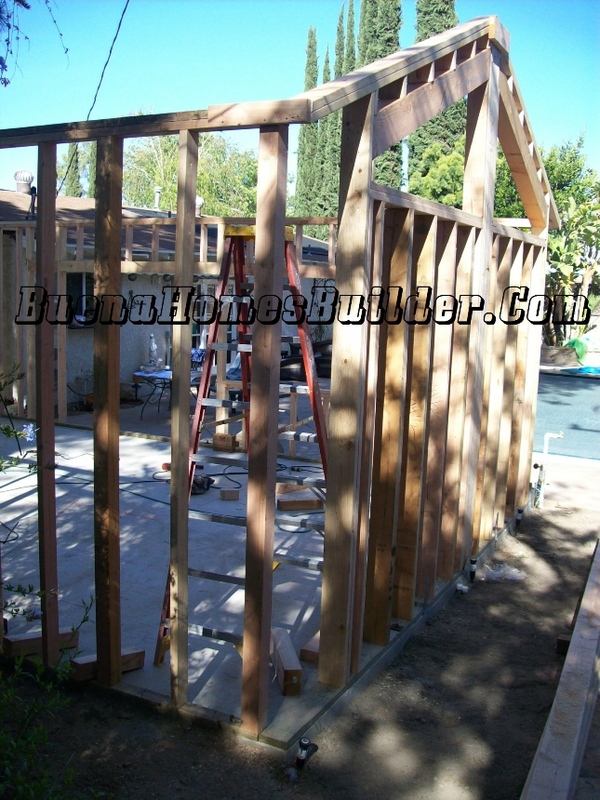 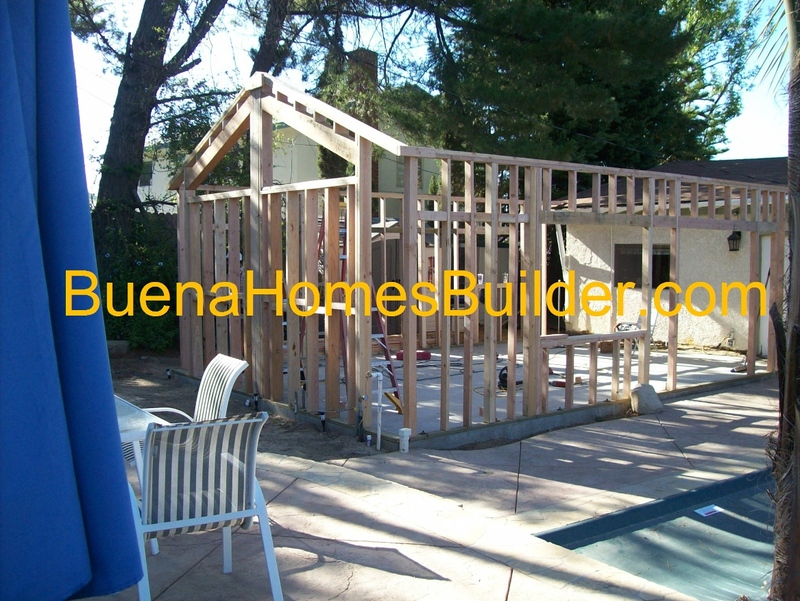 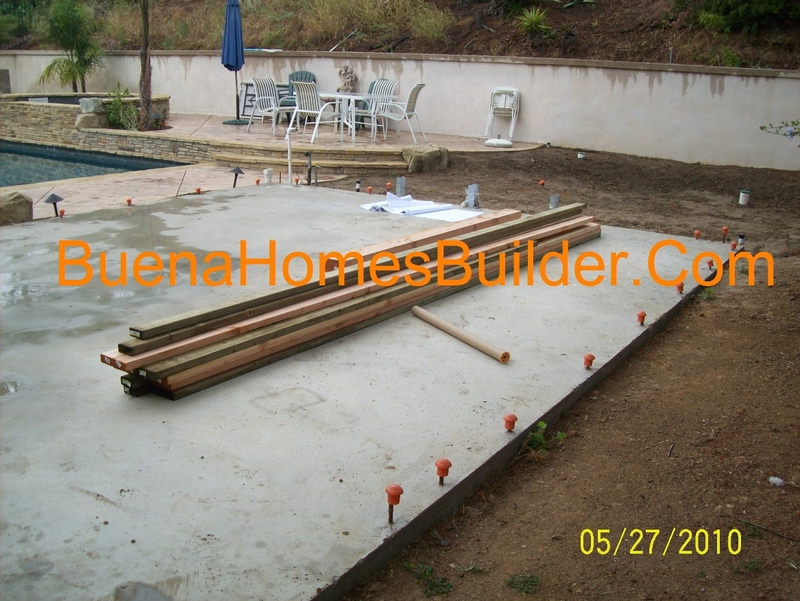 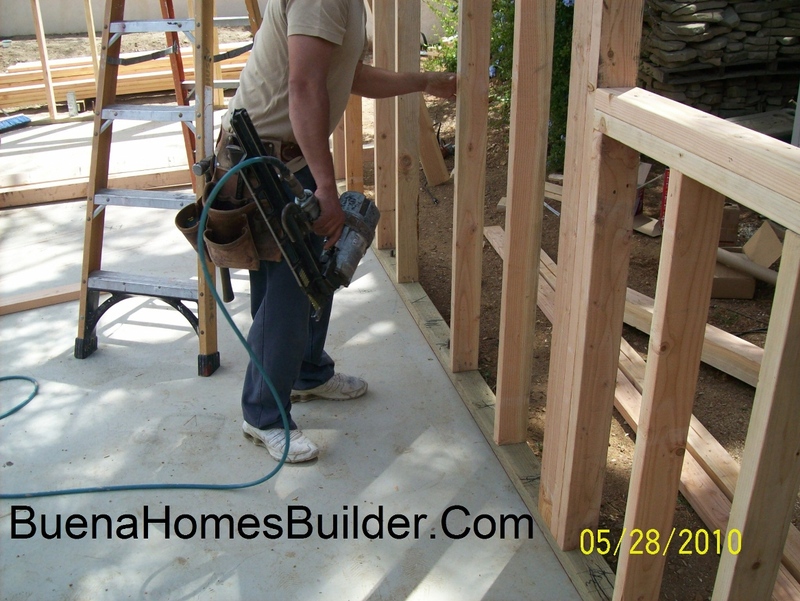 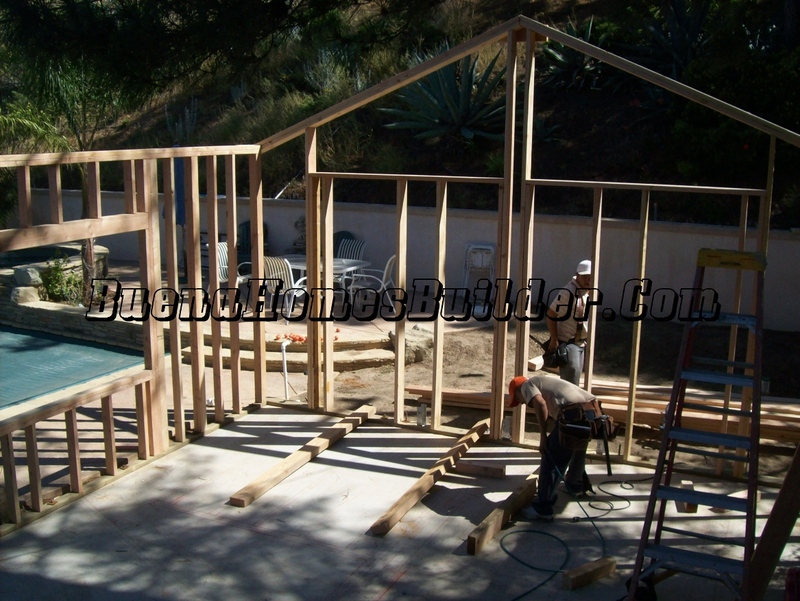 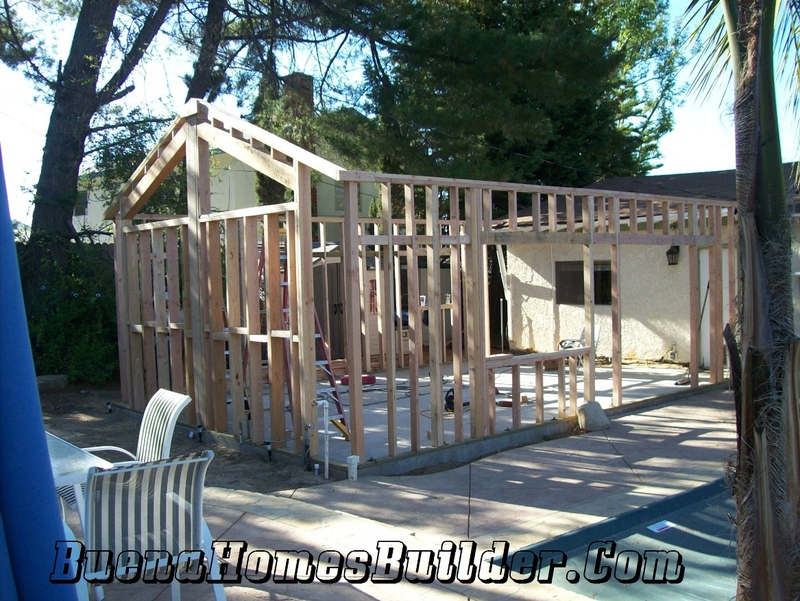 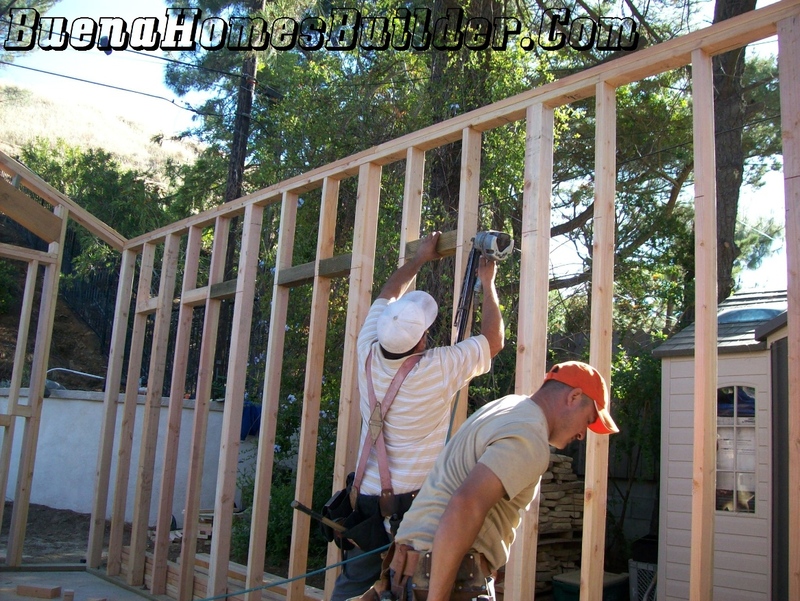 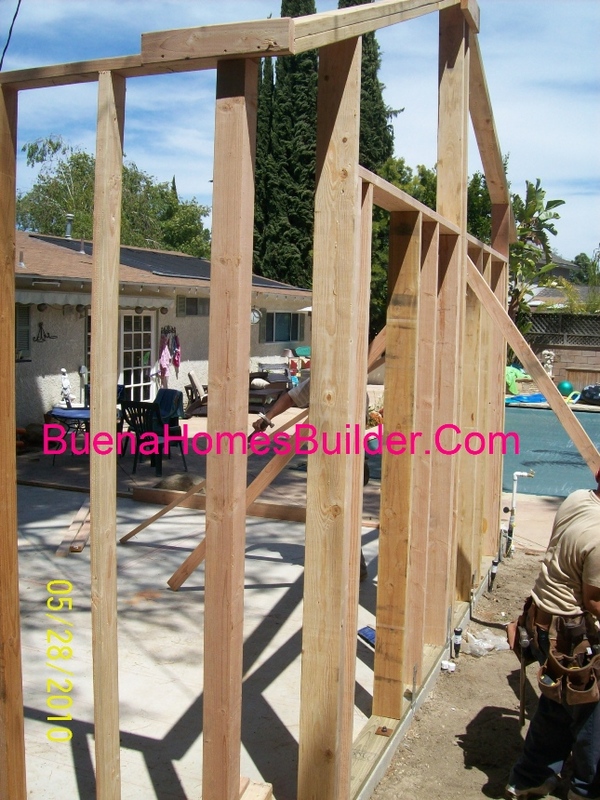 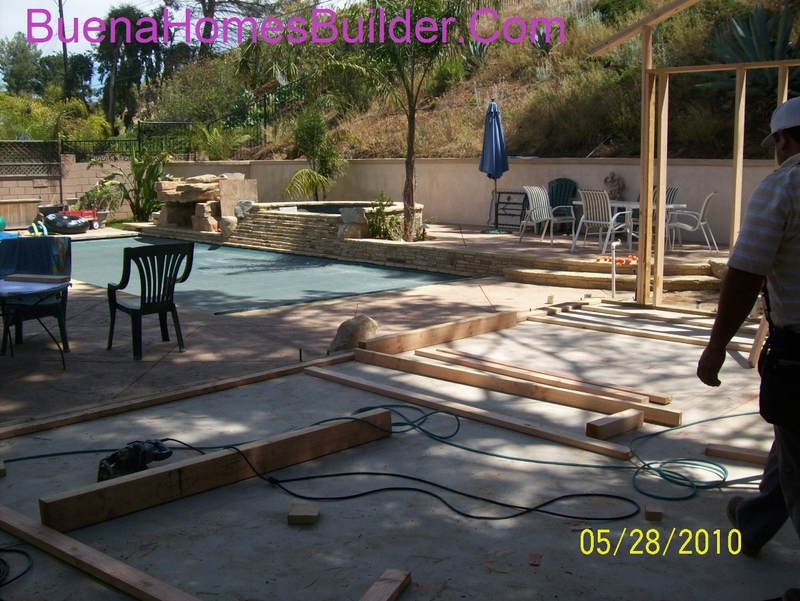 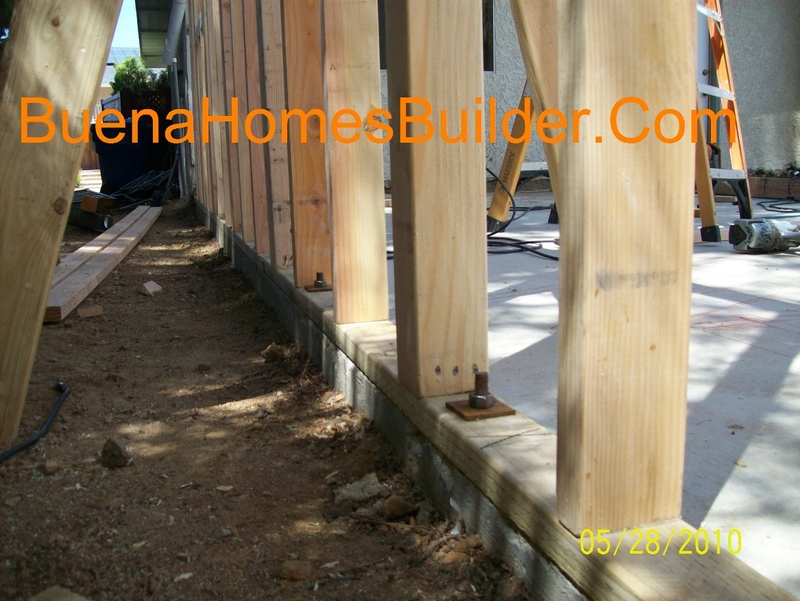 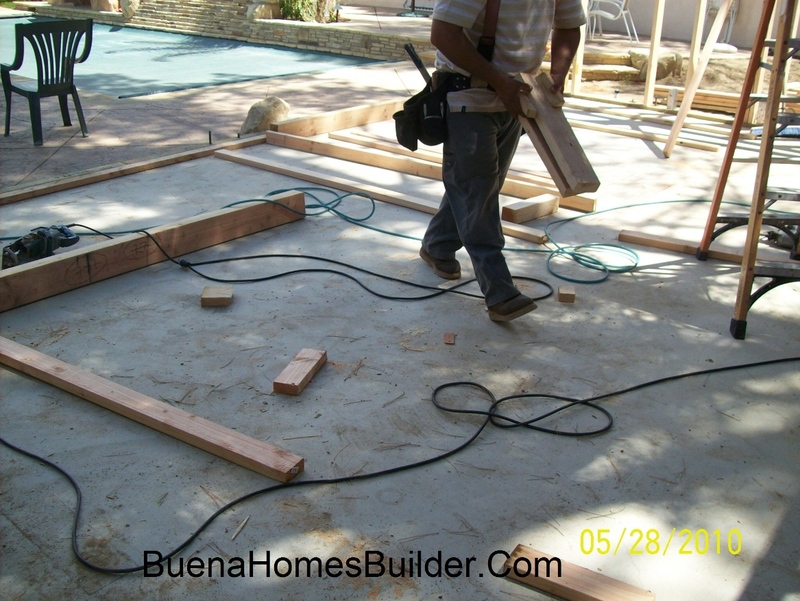 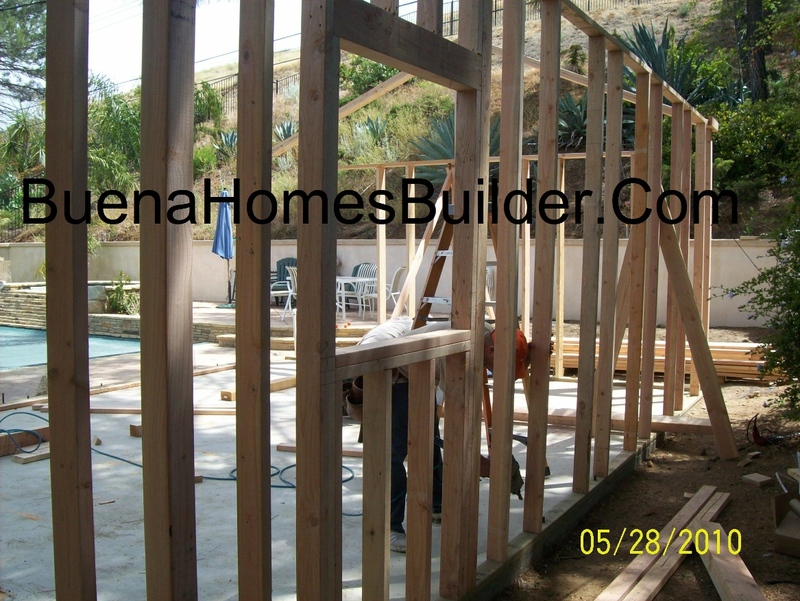 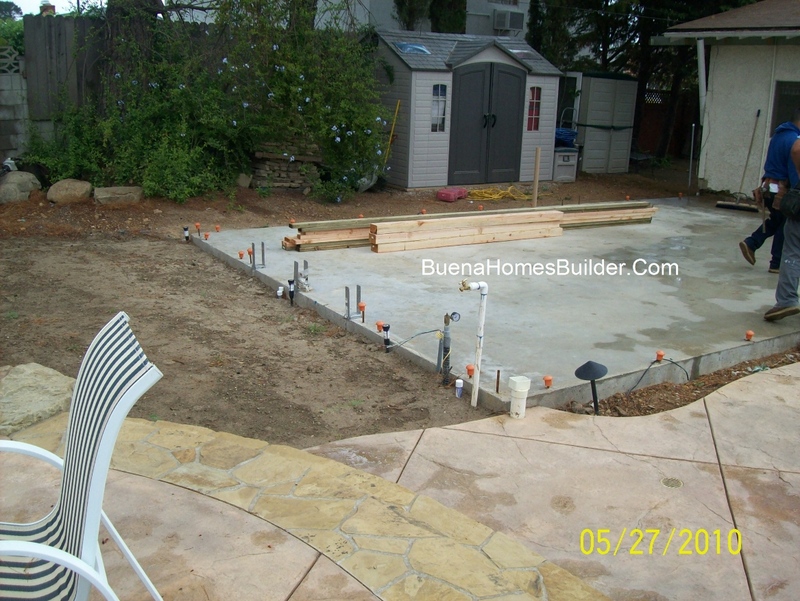 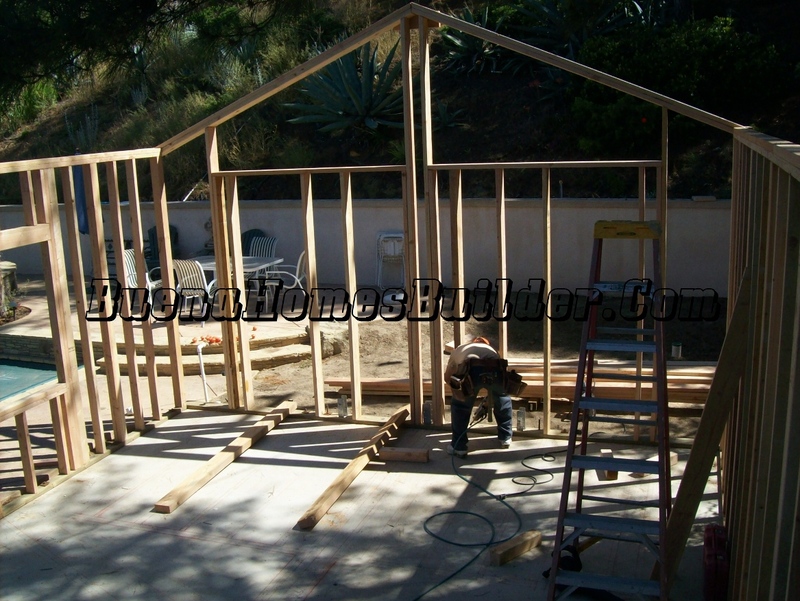 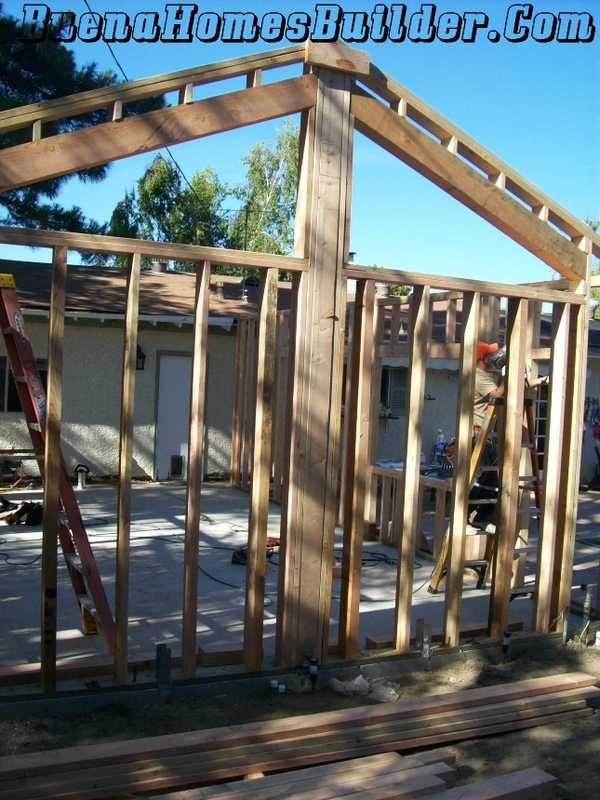 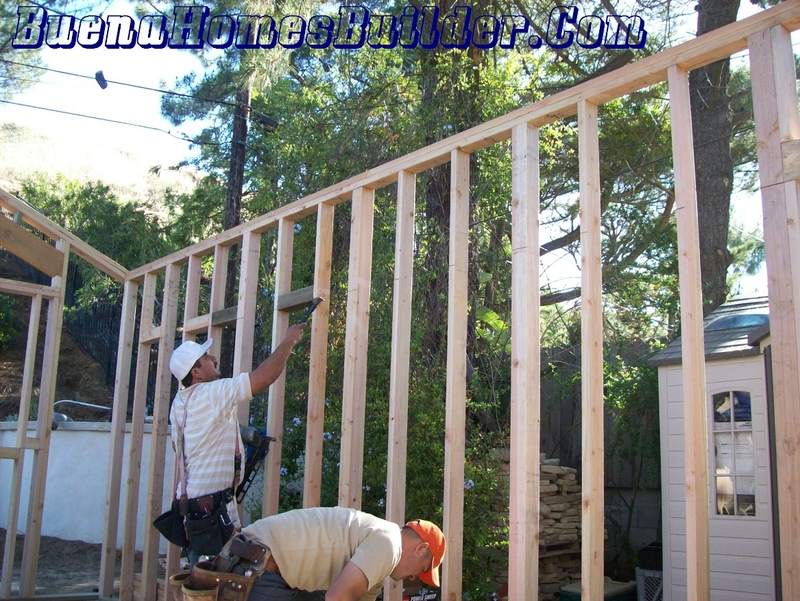 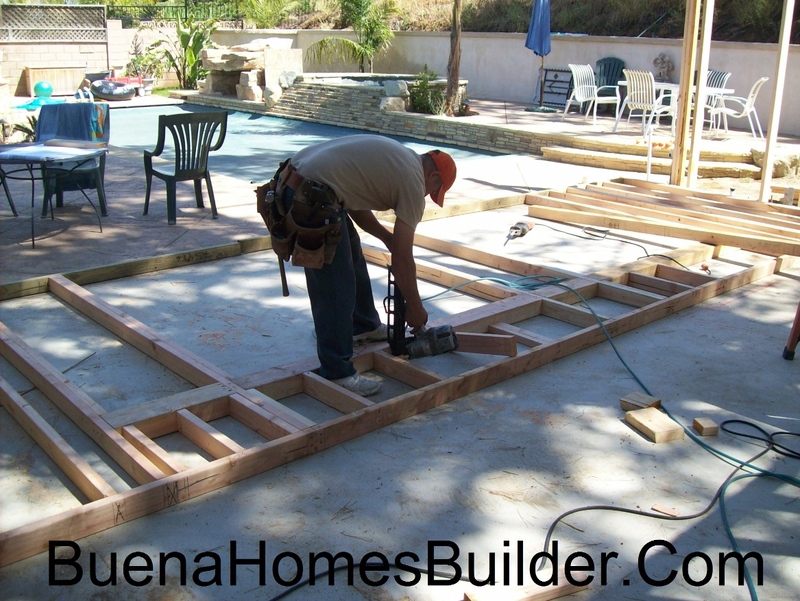 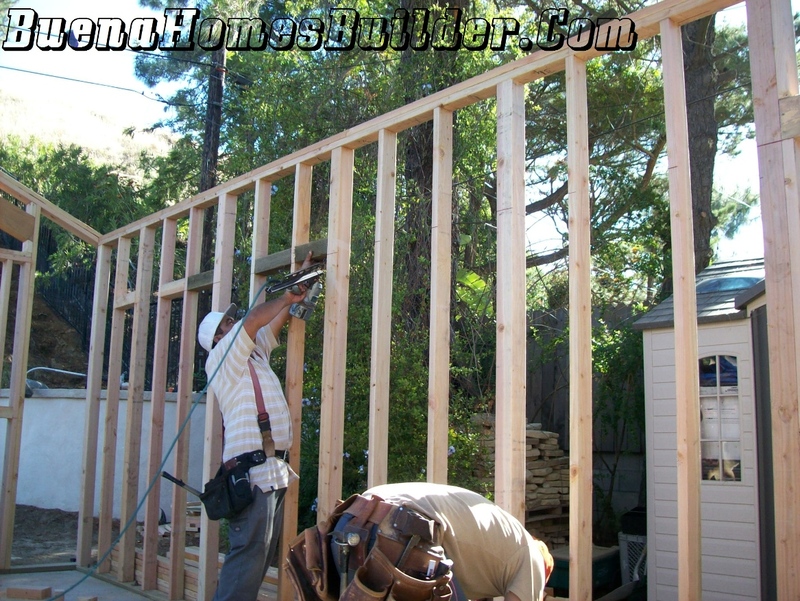 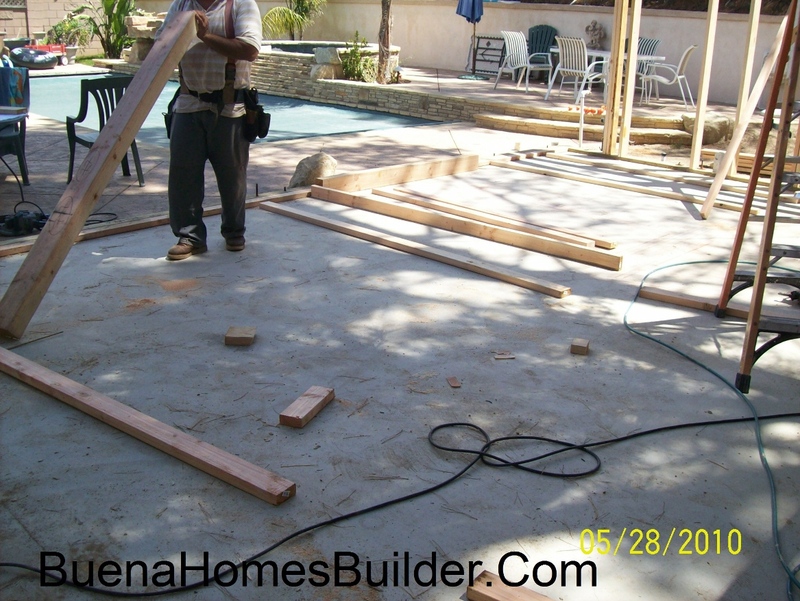 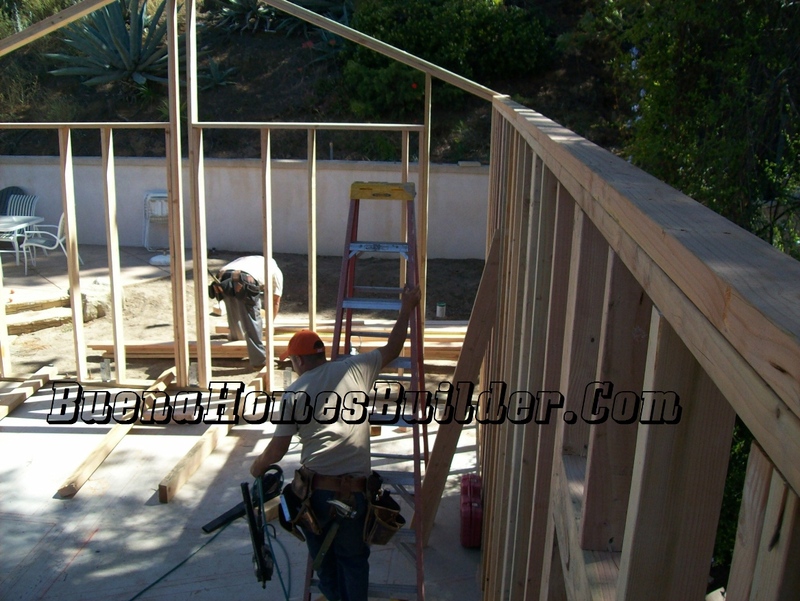 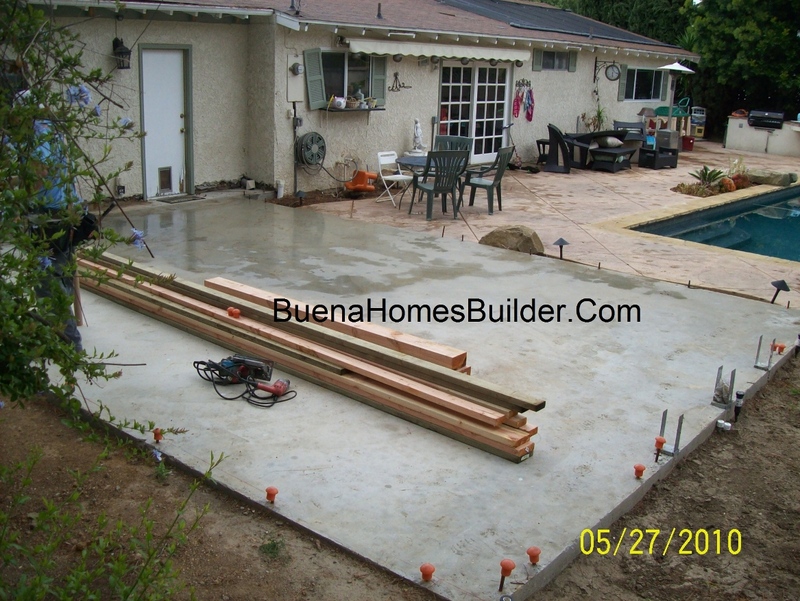 Thousand Oaks Remodeling Framing Project: This project consist of an addition of 900 PLUS Square Feet of living space. 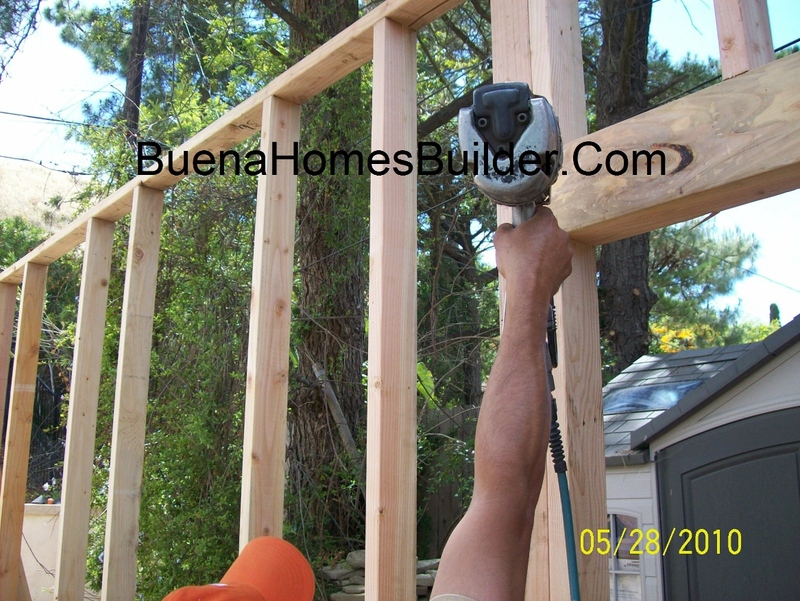 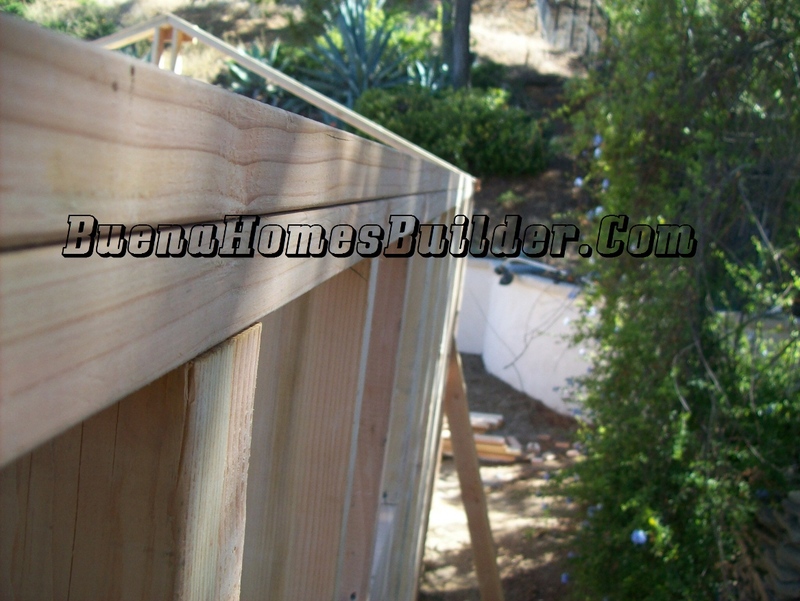 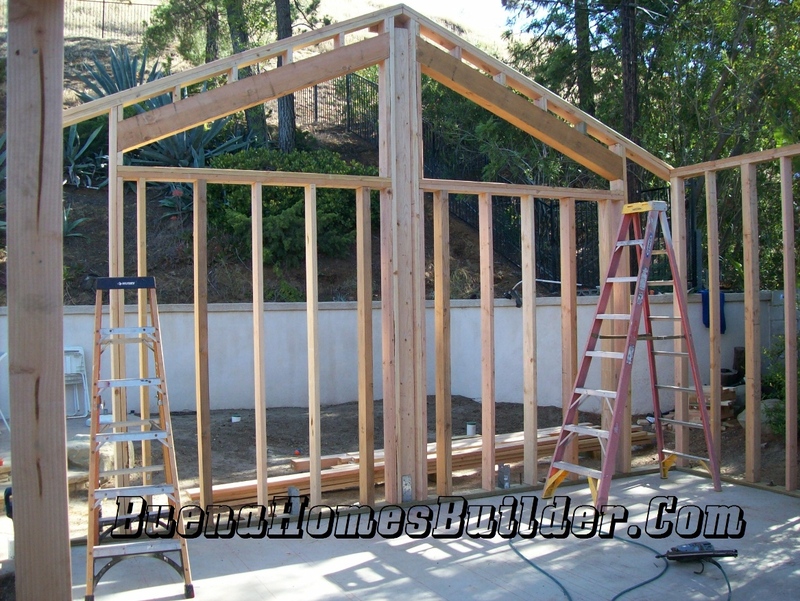 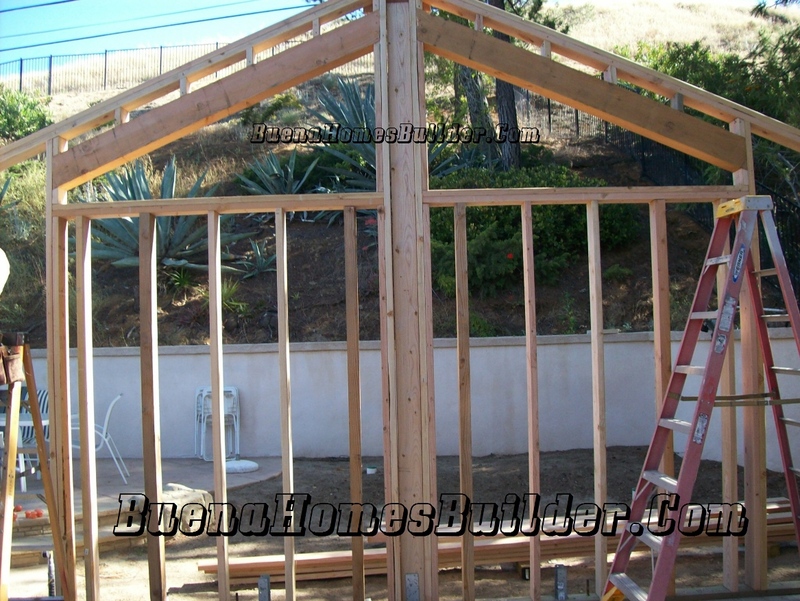 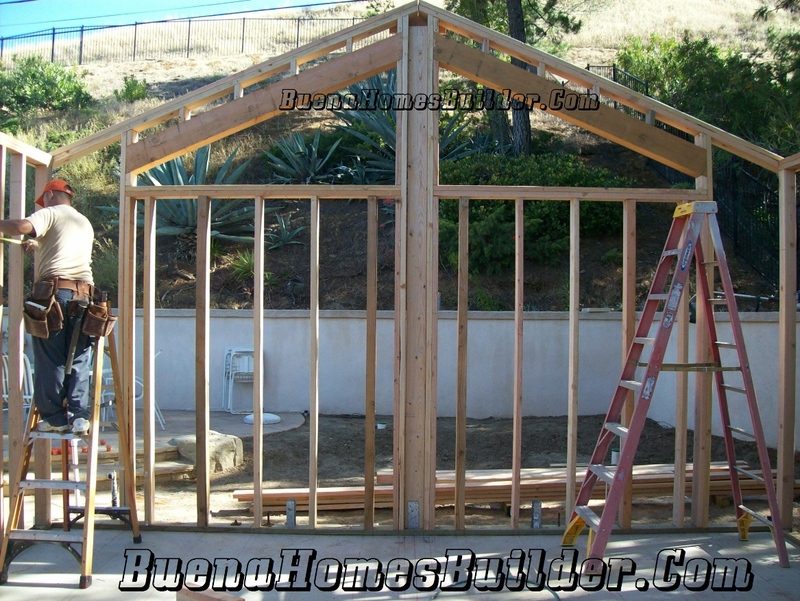 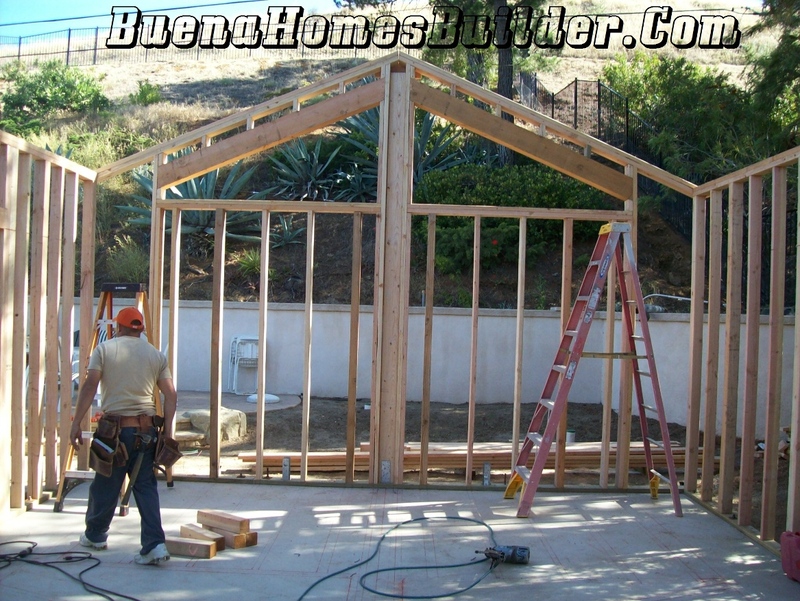 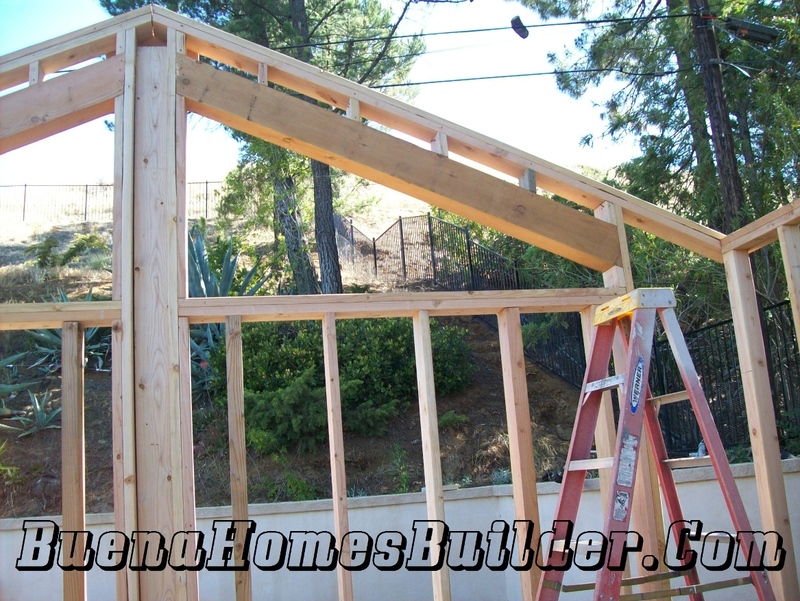 The stud's wall framing height are 9'-0" and it will have VAULTED CEILING with Tongue and Groove and 4X6 exposed roof rafters at 4'0" O.C. 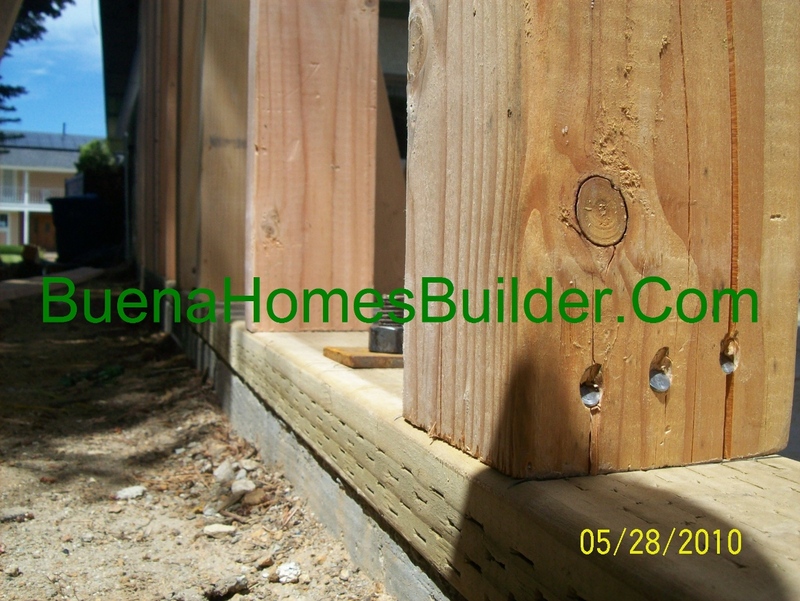 of Douglas fir lumber quality No.1 or better. 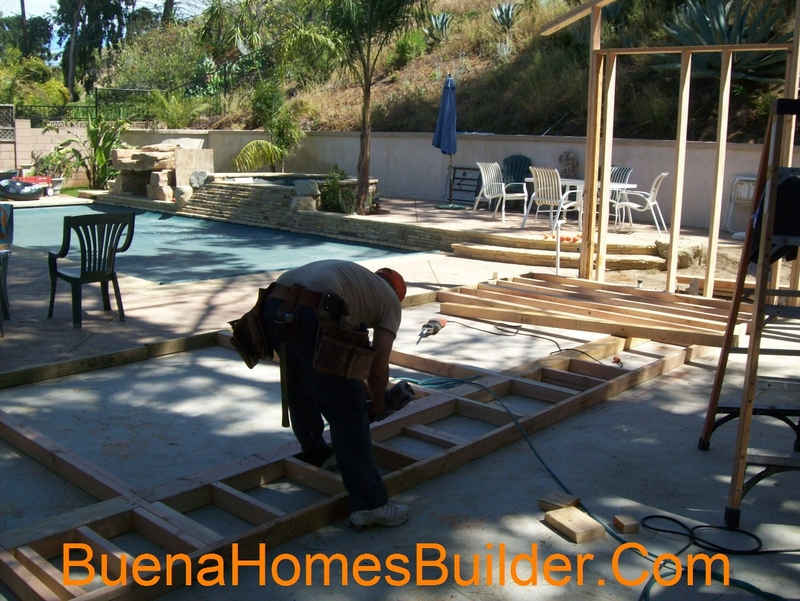 The main roof on the addition it's located on the back side of the main house and it will connect to the main house structure with a beautiful California style roof, and it will end up with a vaulted roof towards the back of the house. 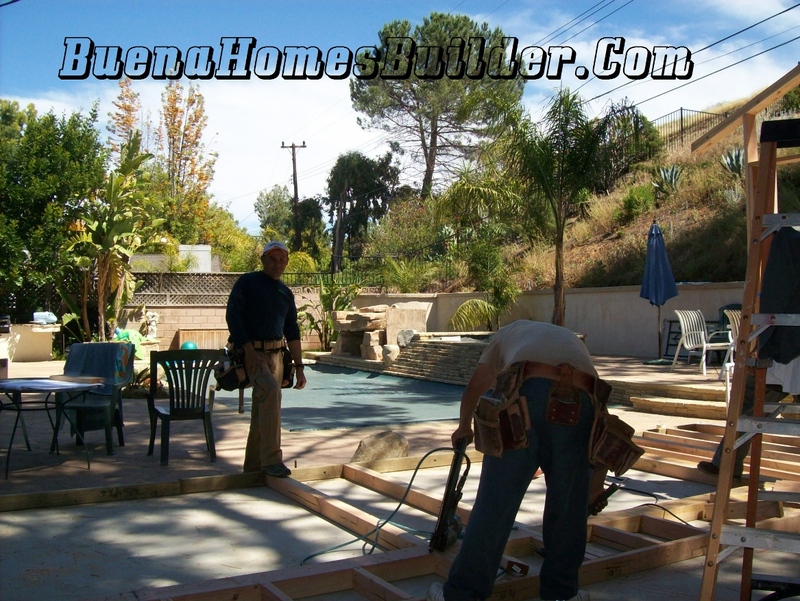 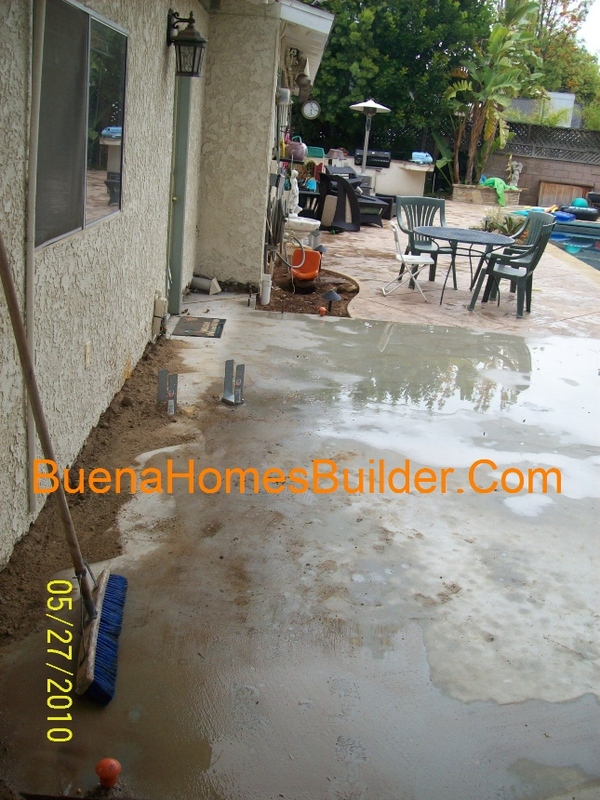 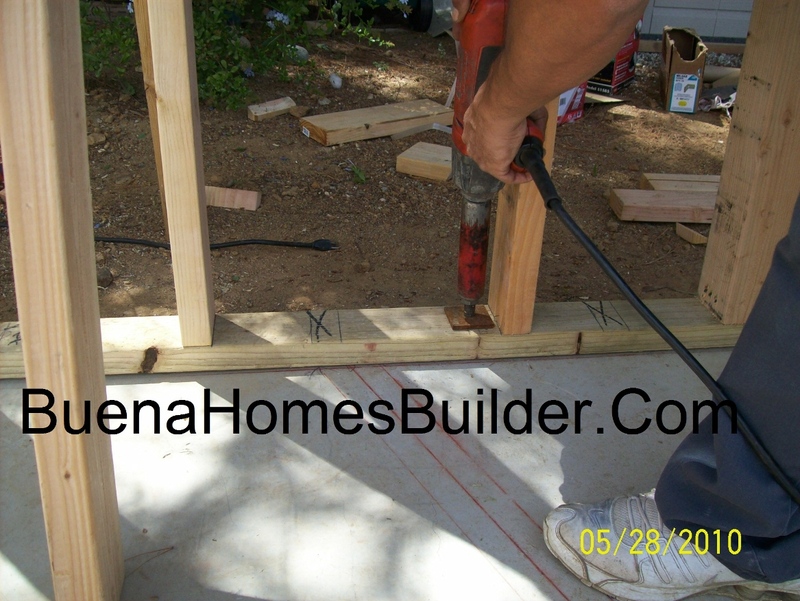 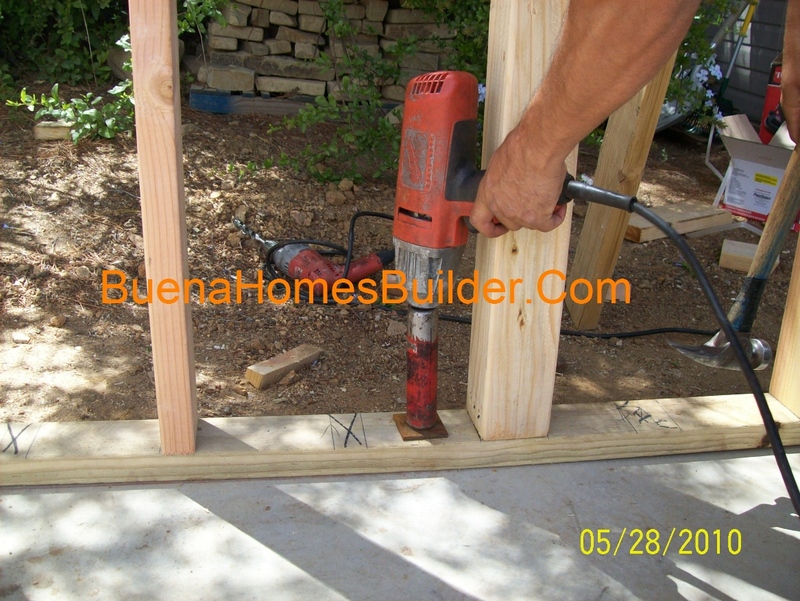 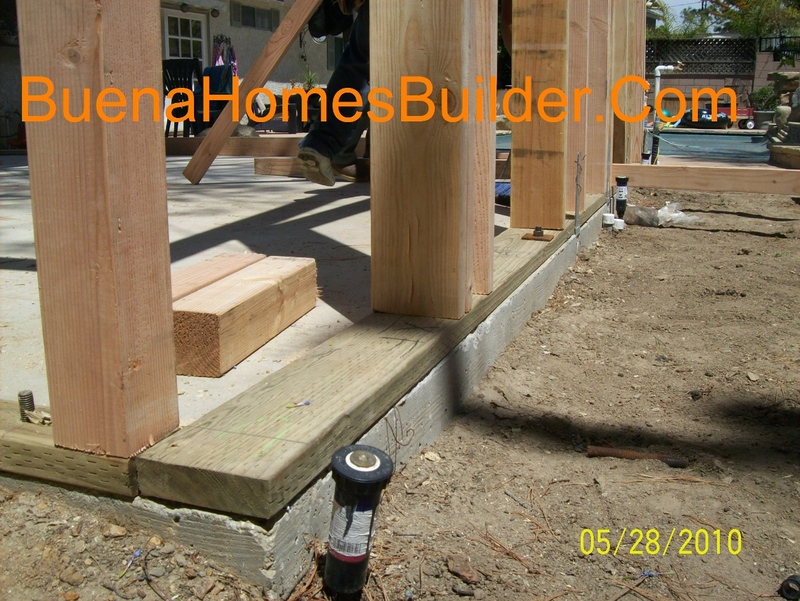 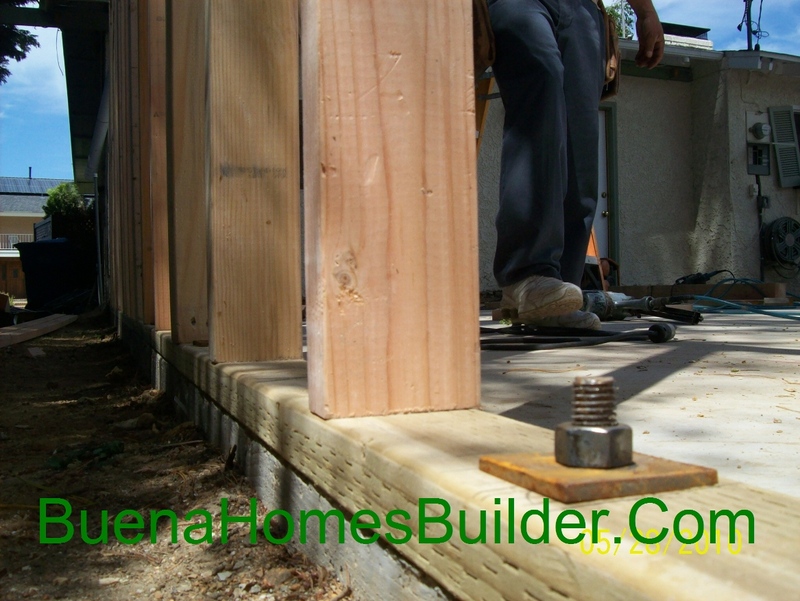 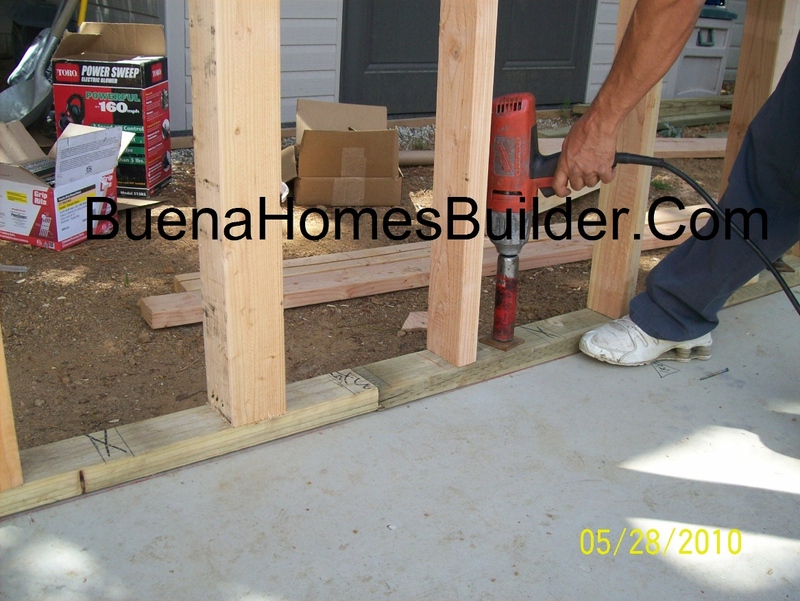 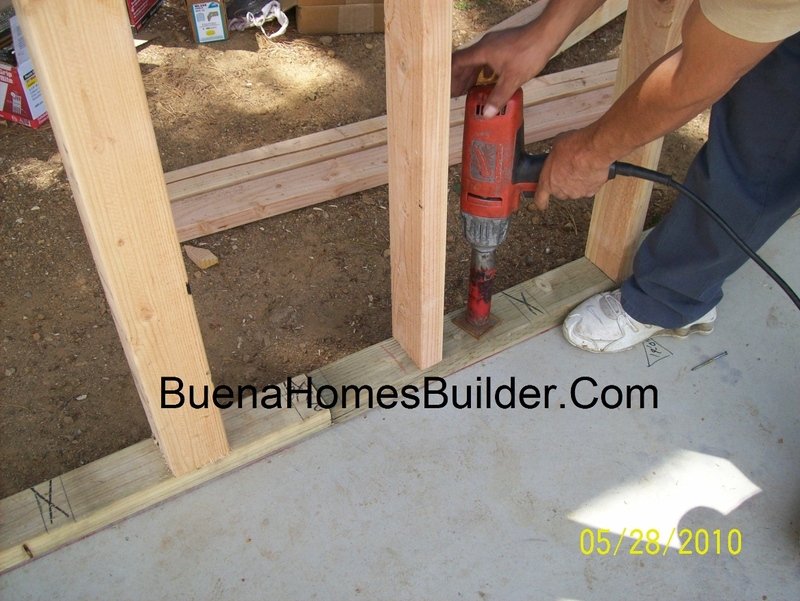 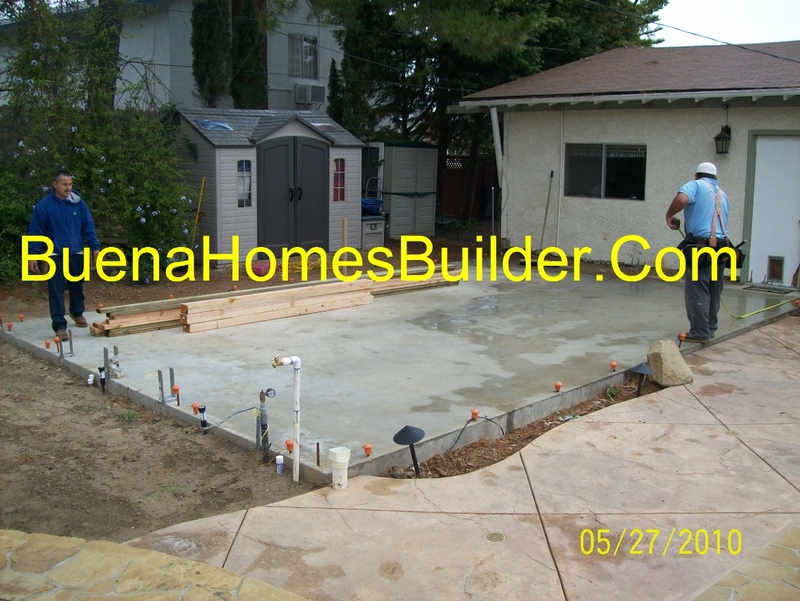 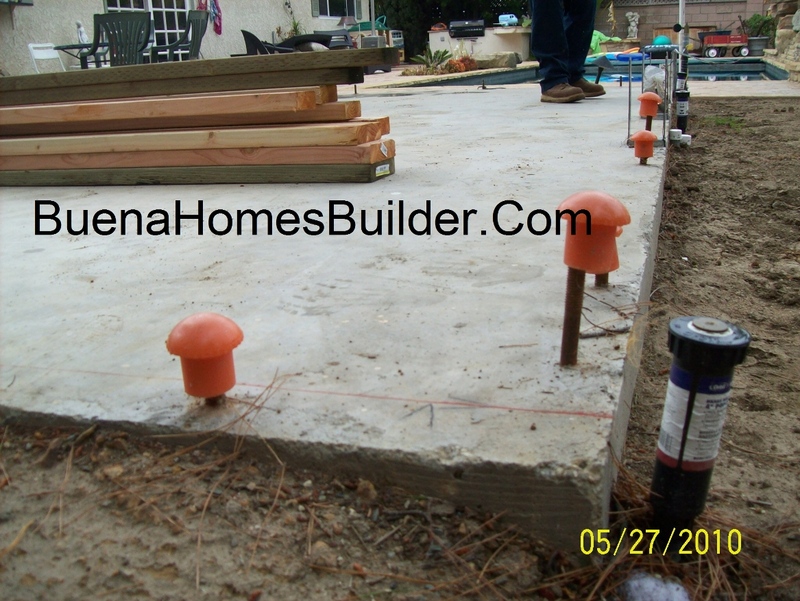 Residential House Remodeling Contractor Ventura County. 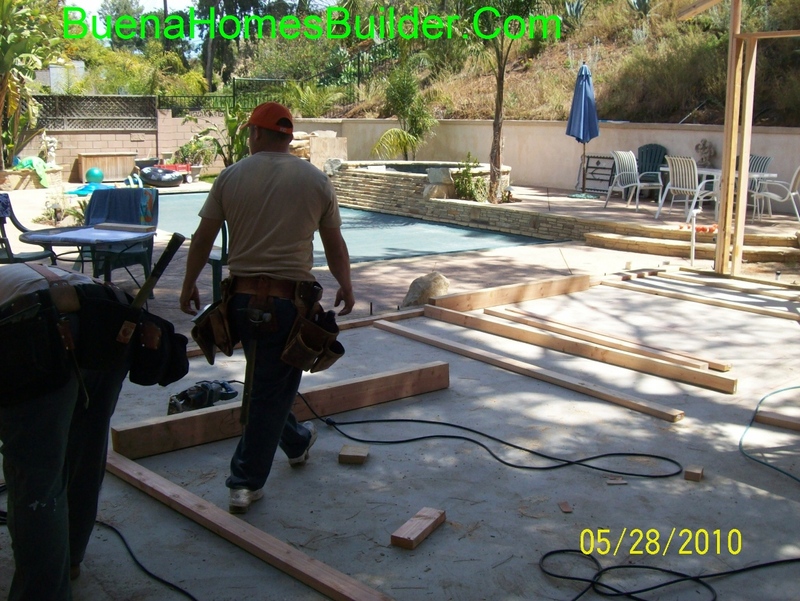 The addition's roof will not have ceiling joists, nor attic space because the roof framing for the remodeling in this Thousand Oaks project will be a vaulted ceiling style, the roof rafter are going to be used as roof ceiling and roof rafters at the same time, that's why you will see in the corners of the back side of the addition two Hardy Frame ( steel walls) that measure 2'-0" in width, these two steel walls are prefabricated by Hardy frame company. 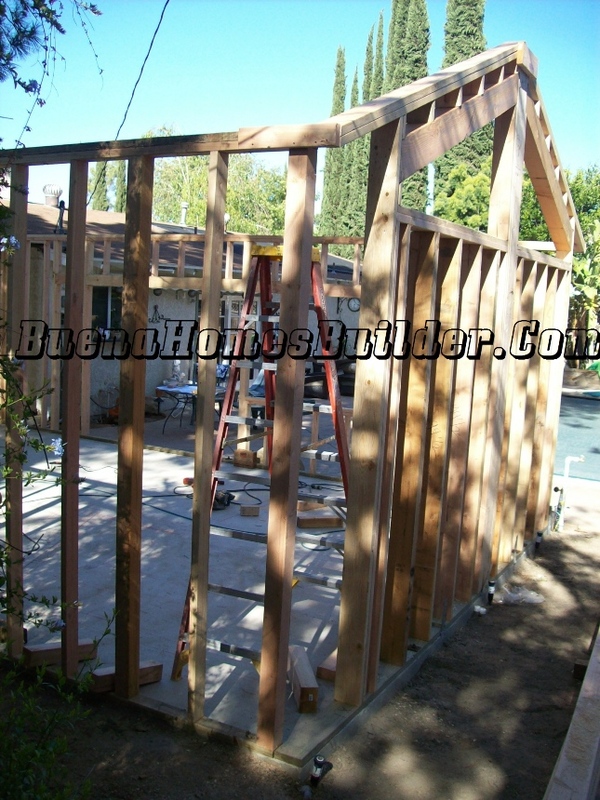 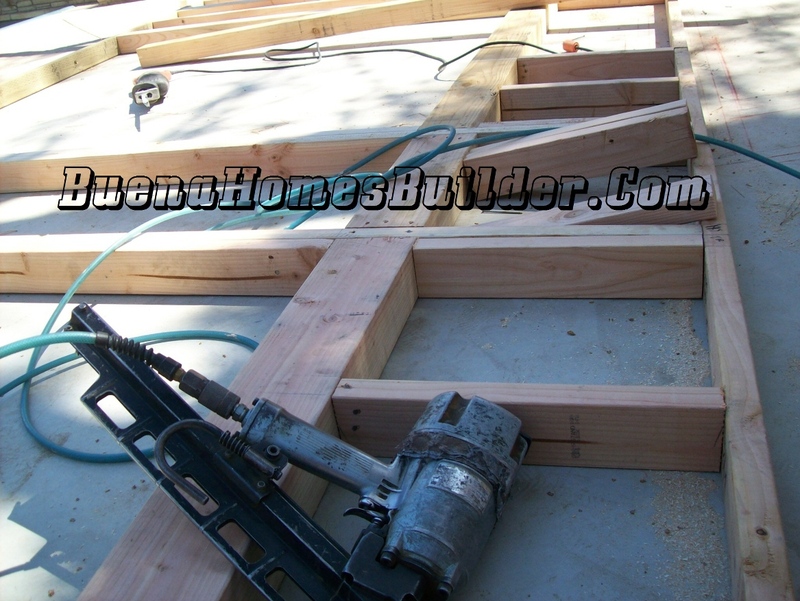 Parts of Roof Frame for this Thousand Oaks remodeling construction includes, common rafters, Ridge gluellam beam, valley jack rafters, fascia boards, valley jack, cripple jack, hip-valley jack, king rafter, and valley cripple jack,and asphalt shingles. 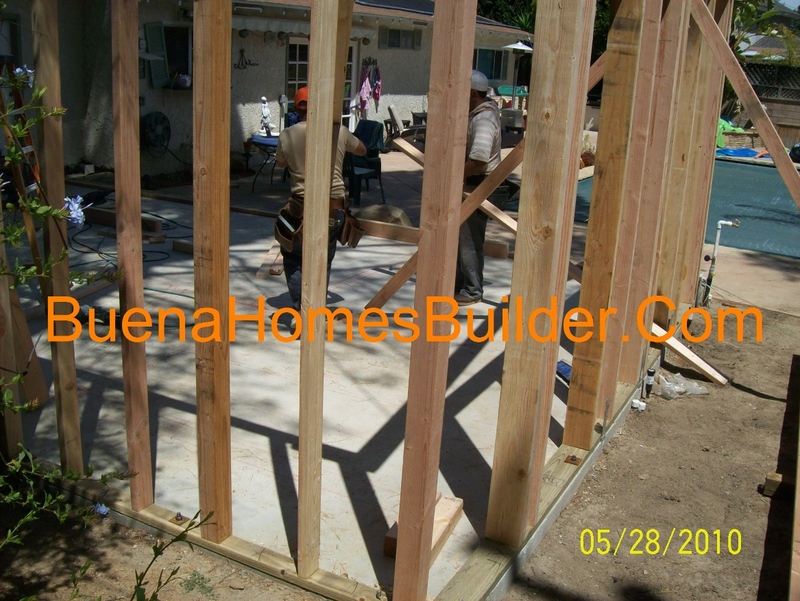 More information and updates to follow as the projects get closer for completion, please come later to see how this project develops. 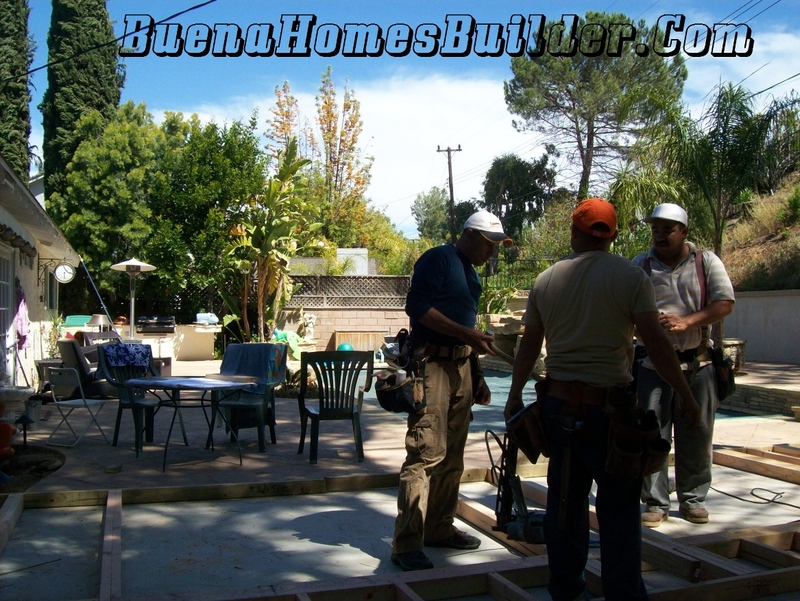 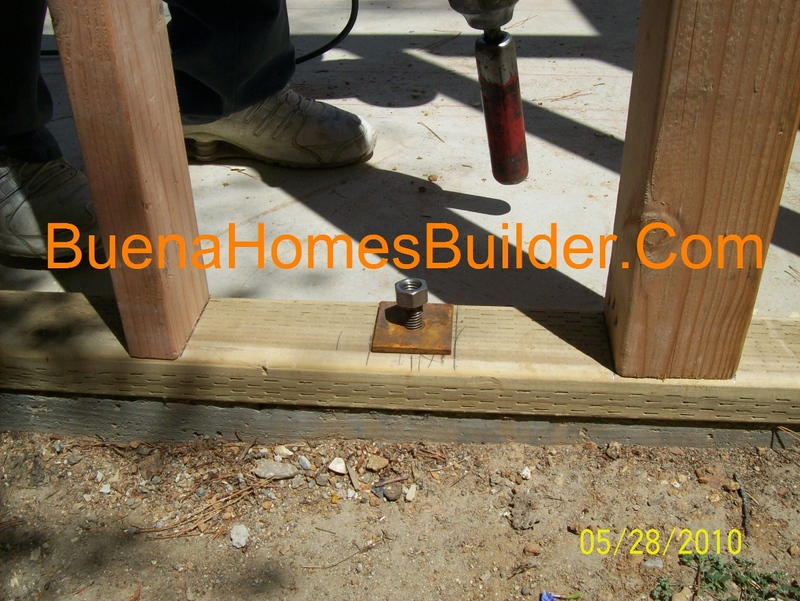 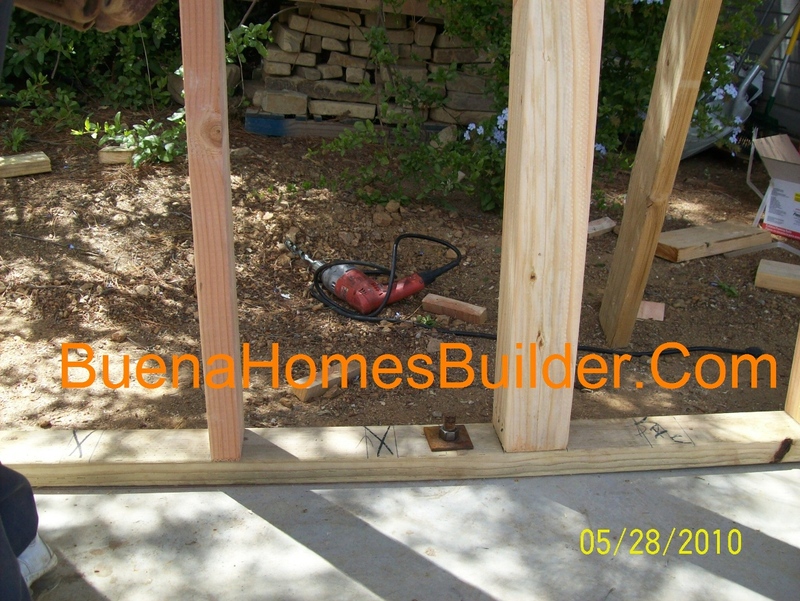 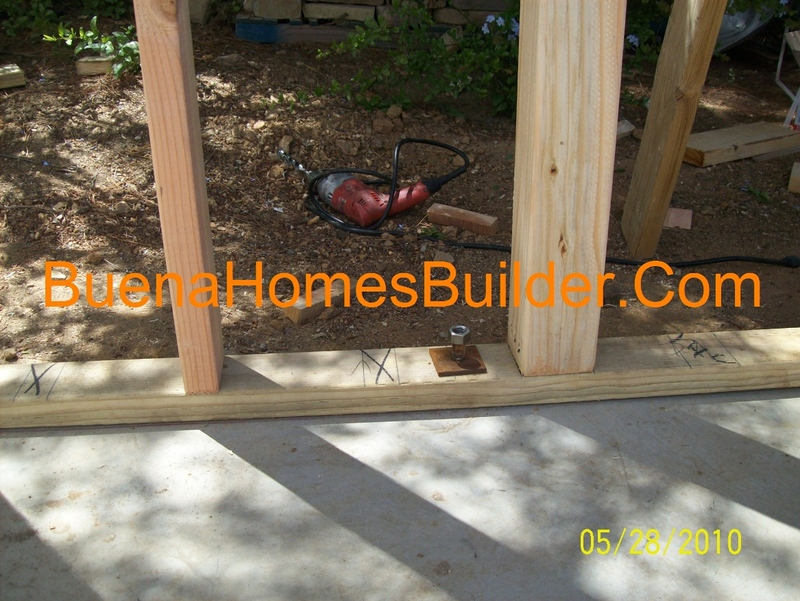 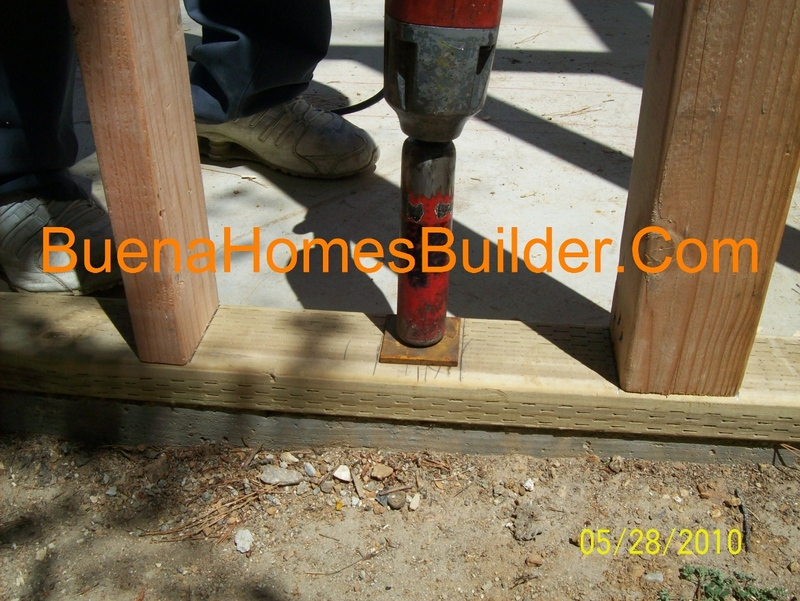 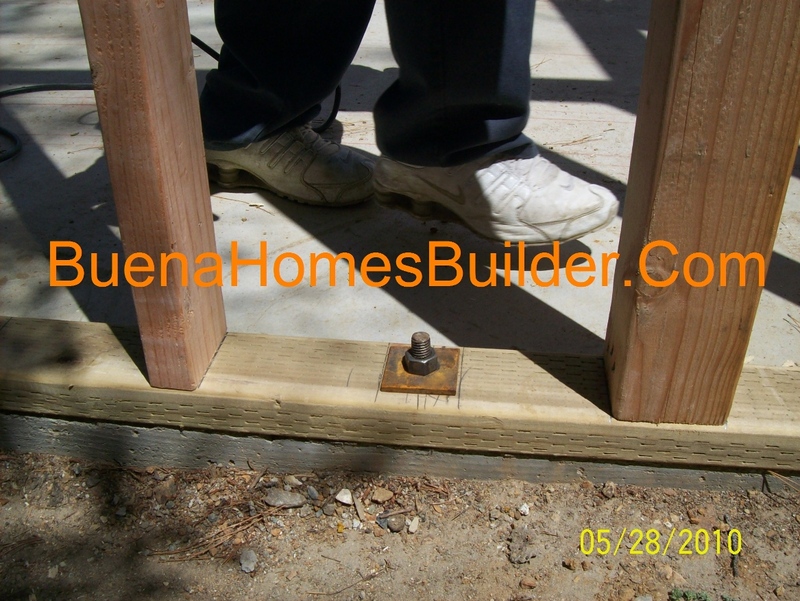 Contact Buena Homes online estimate (make sure to send pictures or a copy of any roof blueprints of your project via email. 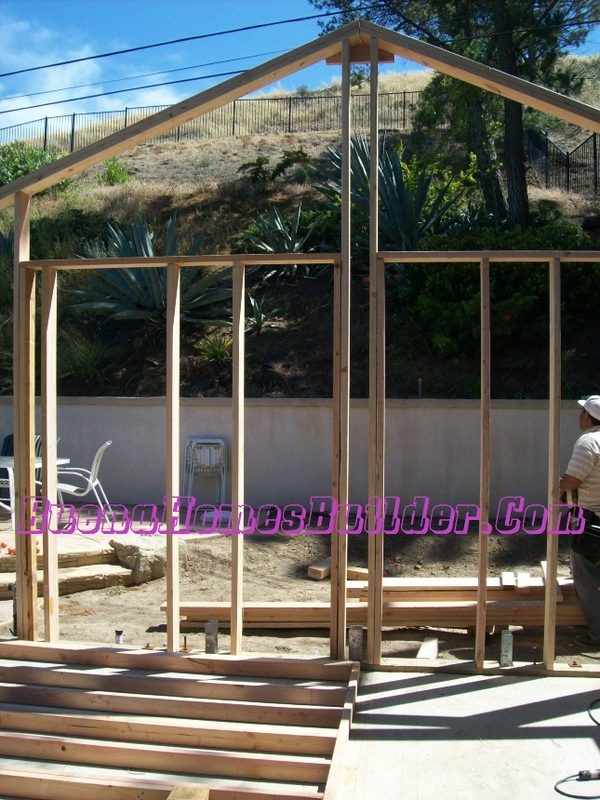 Usually will it take 48 HRs. 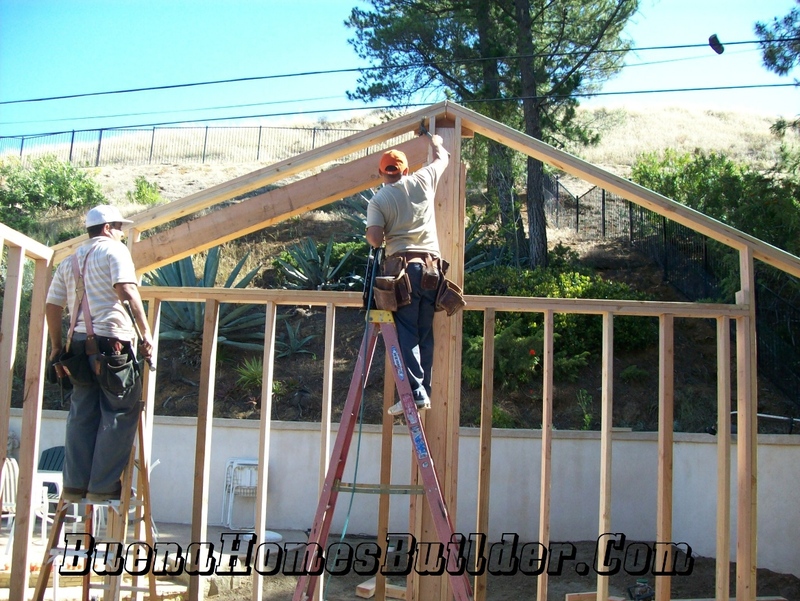 before you get an online roof estimate reply. 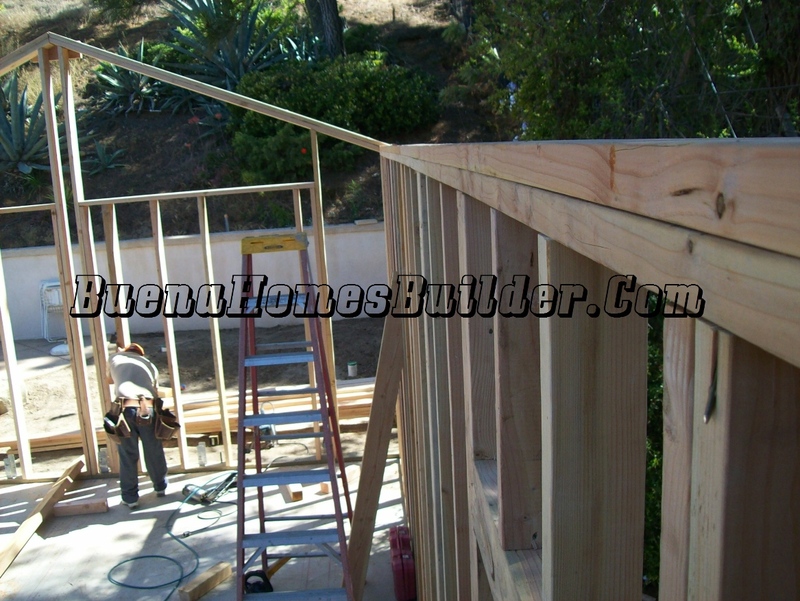 I can meet you to discuss prices and options for Us to do your residential framing or commercial framing construction.